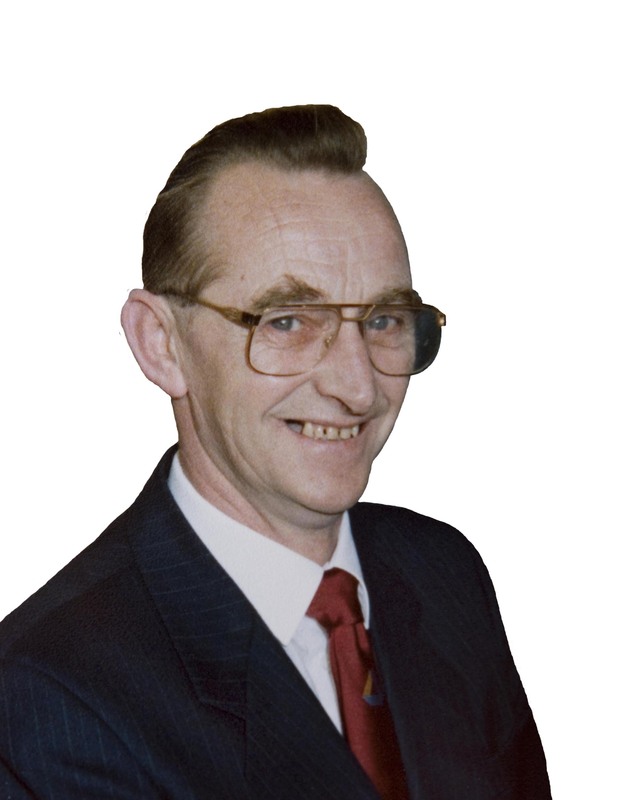 Willie Carmichael was very influential in Scottish athletics for several decades and yet his name is hardly known in current sporting circles. His career in the sport began in 1921 as a member of Edinburgh Northern Harriers before helping set up Canon Amateur Sporting Club in 1922. He was also a a champion wrestler who went on to manage the Scottish team at the 1934 Empire Games, and such was his involvement with that movement that he he was honoured with an OBE in 1971. 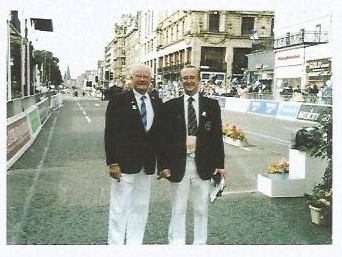 He had energy in abundance, a vision equalled by few and was a great servant of Scottish athletics. In 1922 at the age of 17, Willie, who had started in athletics a year earlier in 1921 with Edinburgh Northern Harriers, was a founder member of Canon ASC . 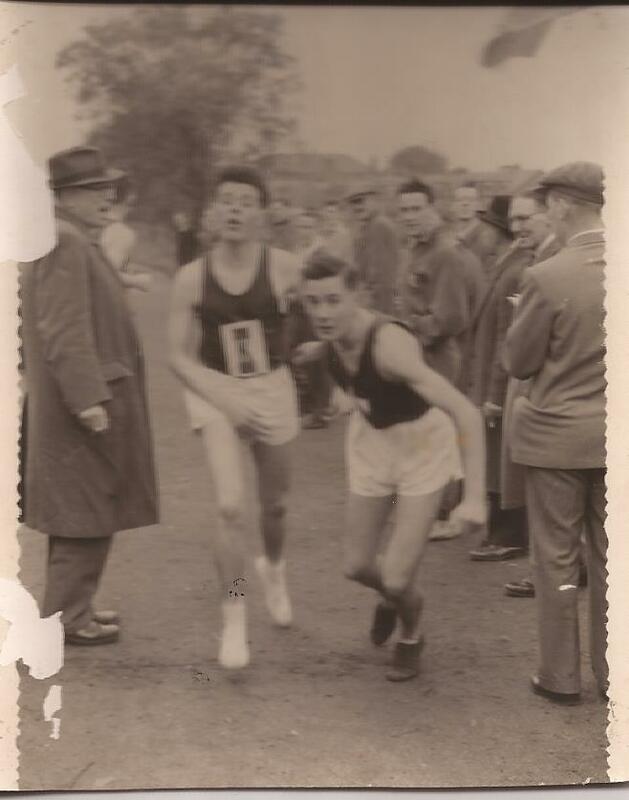 Although a runner, he was also already a committee man and, representing the club, he was the second man to hold the post of secretary of the East District Cross Country League (which was established in 1924) from 1926 . It was a post he held until 1928 when he went off to India to work. On his return two years later, he became League President from 1930 t0 1934, still as a member of Canon. 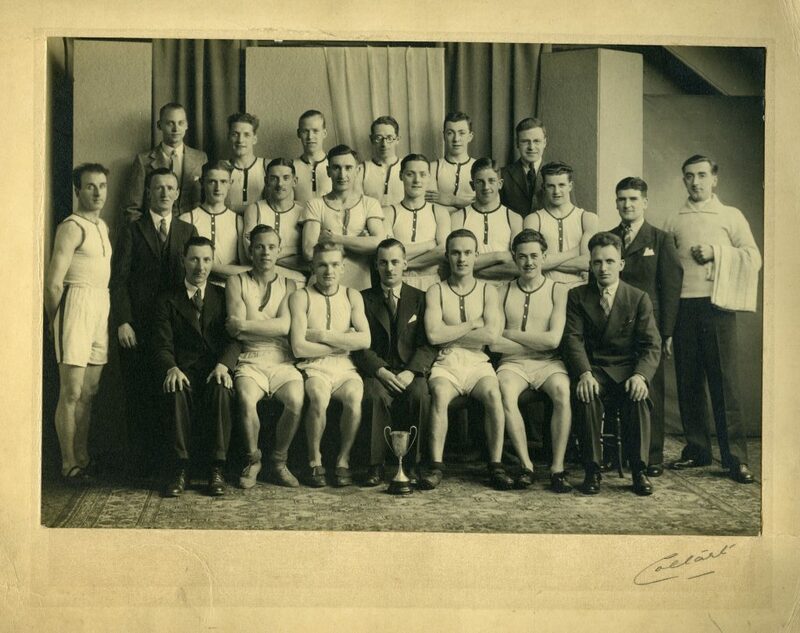 1934 was a significant year for Willie: when Canon ASC became Edinburgh Eastern Harriers he was a founder member; and in that same year he was manager of the Scottish wrestling team at the Empire Games in London. 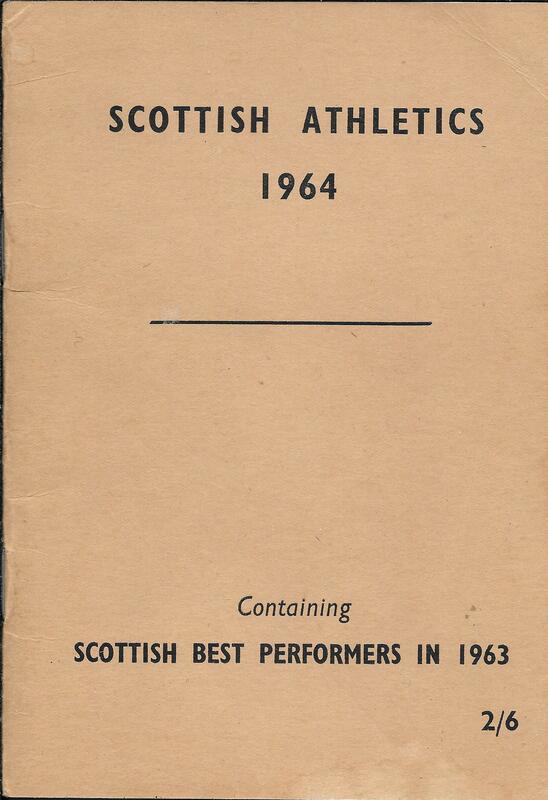 The Scottish Amateur Wrestling Association was formed in 1931. 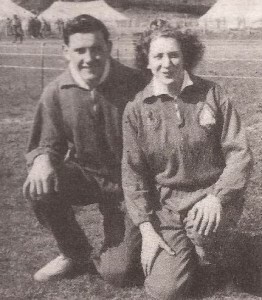 By 1938 Kenneth Whitton was President and Willie Carmichael Secretary of SAWA and they were joint team managers at the 1938 Empire Games in Sydney, Australia. 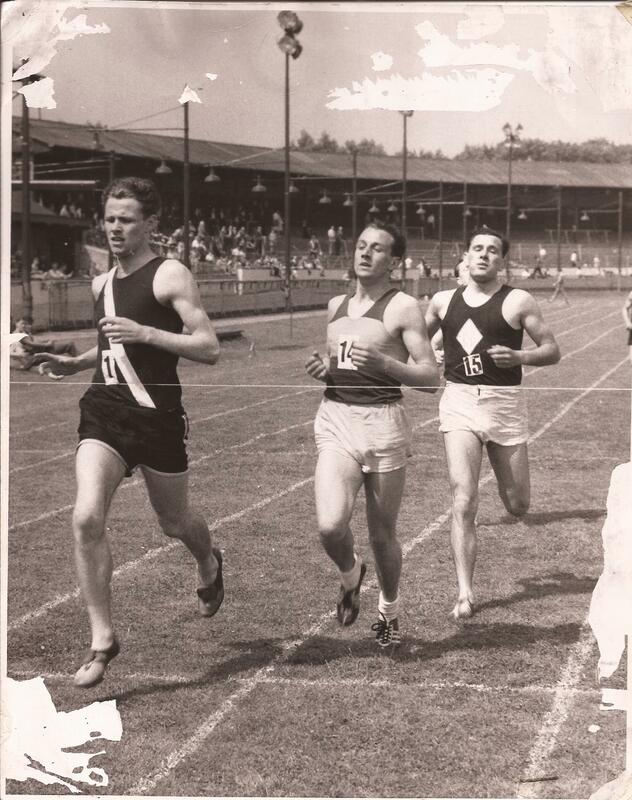 (Kenneth Whitton was also an athlete and athletics historian who made several contributons to the official 50th anniversary history of the SAAA). Willie was very active in both sports simultaneously and by 1938, at the age of 36, already had experience of three Empire Games. 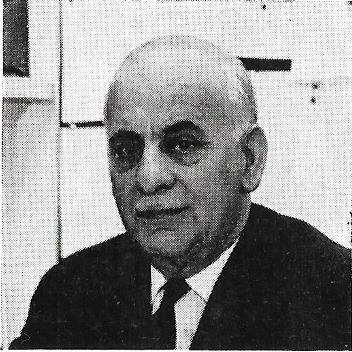 As an elected member of the SAAA, he was automatically on the East District Committee of which he was Secretary from 1937 to 1951. 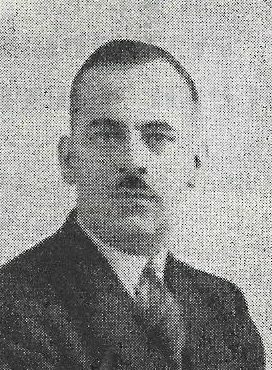 President of the Scottish Cross-Country Union in 1937/38, he is better known for his work with the cross-country side of the sport before the War in 1939. 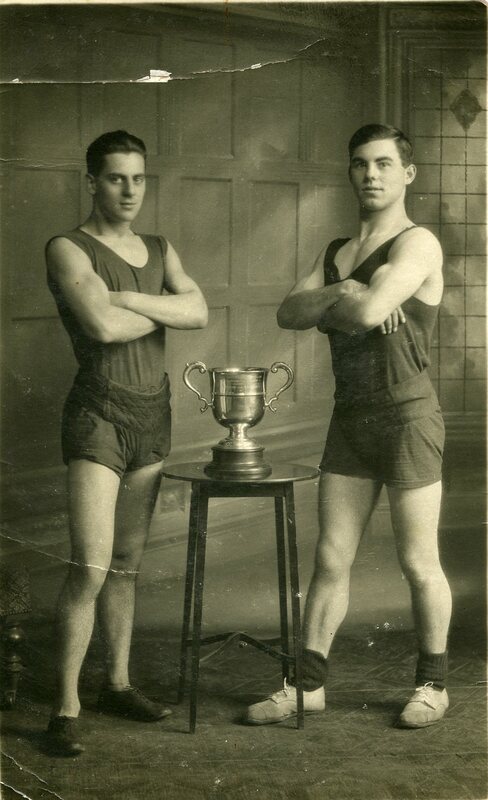 The War started in 1939 and athletics was the least of anybody’s problems with the sport on a back burner until 1946. Even the War couldn’t hinder his interest in the sport. 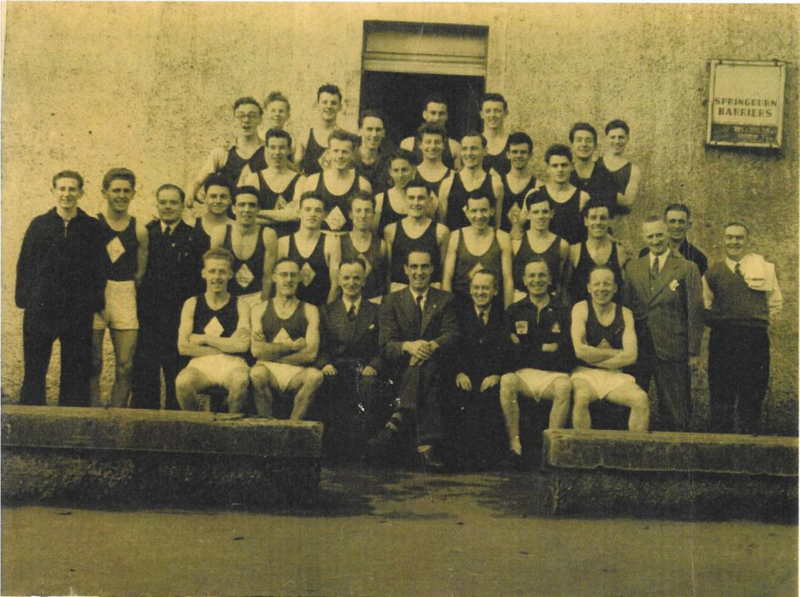 Betwen 1944/45, while Director of Salvage for Northern Ireland, he was a member of the NIAAA committee and chaired the meeting of North and South which formed the Irish Amateur Athletic Board. 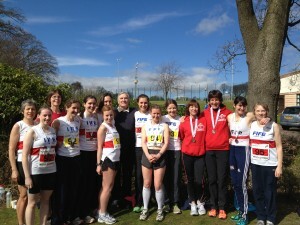 Medal for winning the Canon ASC v Kirkcaldy YMCA 2 Miles. 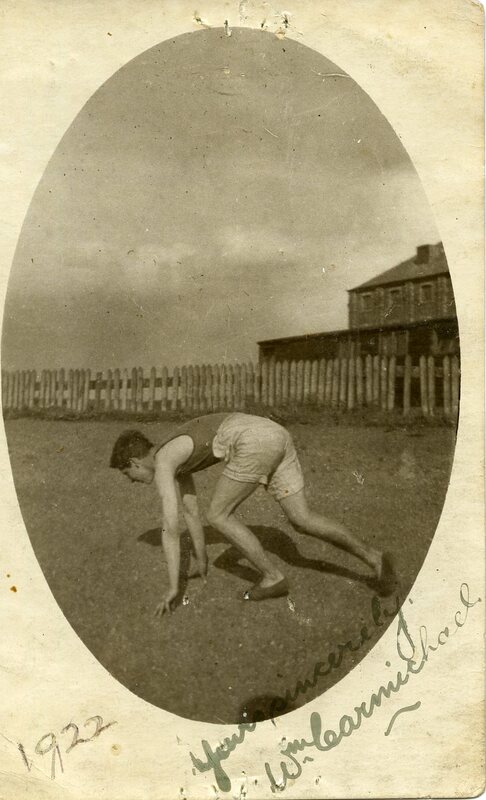 After the War Willie is better known for his work in track and field athletics. He remained on the East District and SAAA Committees and hard as he worked there, he still found time to serve the sport in a multitude of ways. For instance in August 1947 it was decided to publicise the ‘Enterprise Scotland Exhibition’ by organising an Edinburgh to London Relay. There were 26 runners involved and it was a mammoth undertaking – the logistics of providing transport, food, lodgings, etc were difficult enough but there were the added complications of ‘glad handing’ local dignitaries in every town and city they passed through and feeding information and publicity to the Press. The team manager was Willie Carmichael. He wrote about it in the ‘Scots Athlete’ magazine of October/November 1947 where, although he does not make it sound exceptional, it really was a first class piece of organisation and management. W Carmichael who was the guiding light in this promotion once again proved his great flair for organising and it was grand to see such a resounding success. The hard-working Eastern District Secretary has the gift of imagination and believes in doing things on a big scale. 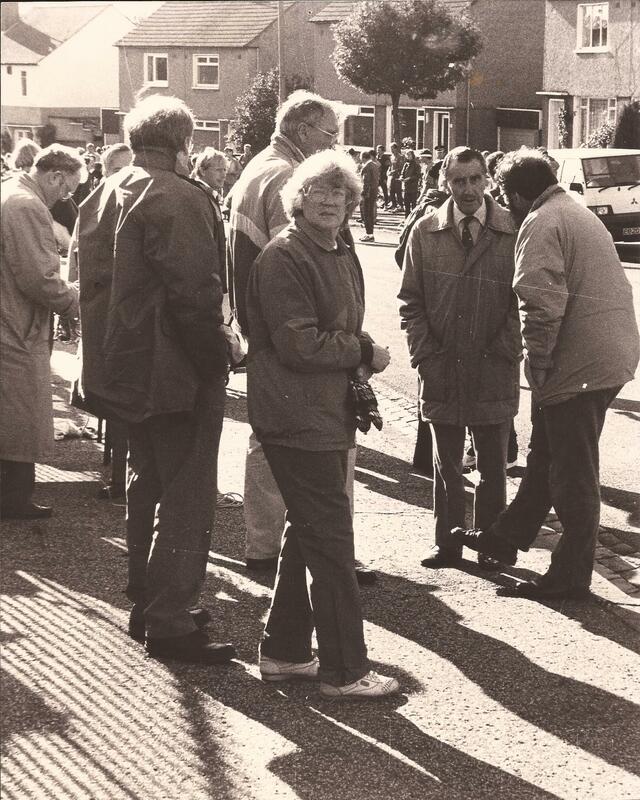 For instance the appearance of Arthur Wint and Fanny Blankers-Koen would alone have drawn the crowd. But an invitation was also extended to a select British team of athletes and cyclists; and what a team Jack Crump had with him. ………….. But at the end of the day in attempting to recapture once more the highlights of the meeting, perhaps the most striking feature of all was the magnificent enthusiasm of the spectators. The warm sportsmanship of the Edinburgh audience remains a fragrant memory”. 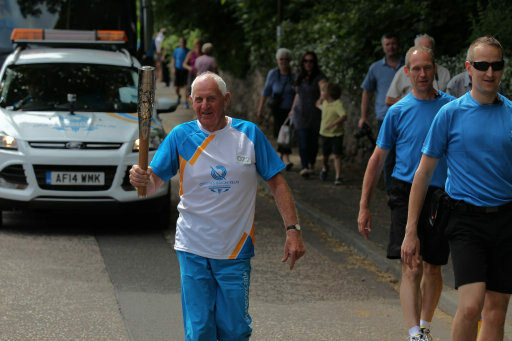 Willie was not just an administrator either although he organised the Edinburgh Games for a total of 31 years. He was a Grade One Judge for all three disciplines of track, jumps and throws and officiated latterly as referee at meetings big and small. eg he officiated at the Rangers Sports from at least 1950 to 1962. In 1948 he worked at the London Olympics as a track judge and as a wrestling judge. He thus officiated as a Judge or official at Scottish open, District, National and International events on the track and over the country. 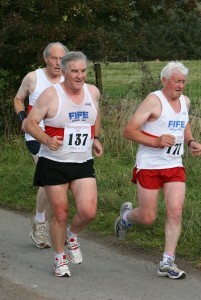 He also officiated on the Edinburgh to Glasgow eight-man road relay. As a reward for his work with the SAAA he was elected President in 1953. Not only was the man active on the Scottish stage, in 1952 he was a Scottish representative on the British Amateur Athletic Board – this was a three year appointment and it coincided ith his election as President of the SAAA. At that time Willie had been Chairman of the the Commonwealth Games Council for Scotland from 1950 to 1955 and followed that with Secretary of the Council. He would hold that post from 1956 to 1979. 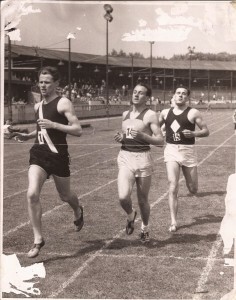 Willie was General Team Manager for the Vancouver Games in 1954 when Joe McGhee won the dramatic marathon and Bannister defeated Landy in the Mile. There is a little-known story of delay of the return home flight while repairs were carried out to an engine and Willie took the whole team to the pictures. ‘Three Coins in the Fountain’ was the film. would probably inspire many and probably sharpened Willie’s desire to have the Games in Scotland. 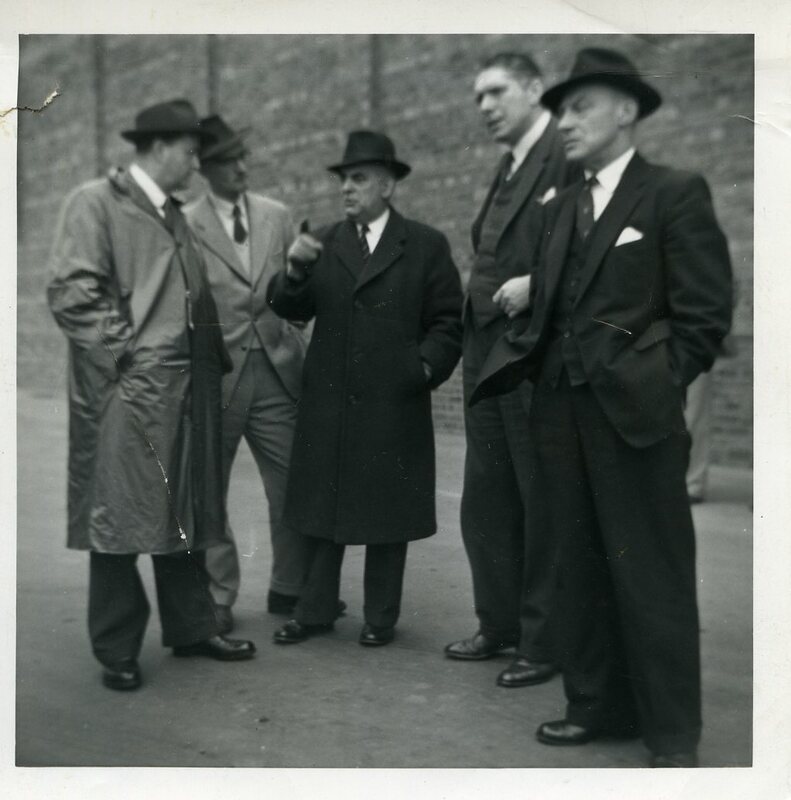 The ‘hard-working East District secretary with a gift of imagination’ and who ‘believes in doing things on a large scale‘, as Emmet Farrell had it in 1947 was about to tackle his biggest task yet. Willie was the Director of Organisation. 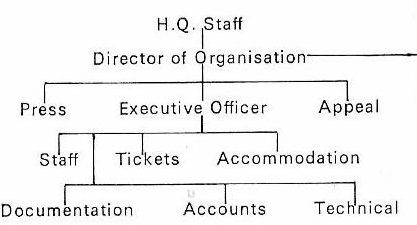 Oversight of everything, ex-officio on every committee and committees were set up to deal with Accommodation, Appeals, Catering, Ceremoinial, Queen’s Relay, Communications, Finance, Legal and Concessions, Main Stadium, Medical, Pool, Press and Public Relations, Sports Technical, Tickets, Traffic, Transport, Village, VIP Hospitality and Welcome. 19 sub-committees in all. All had to be staffed, all had to be accountable and all had the responsibility of ensuring that Scotland was portrayed in a good light. 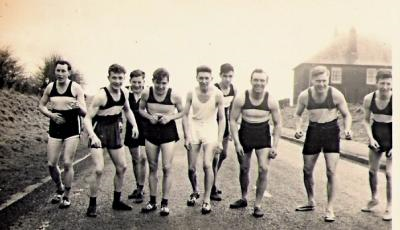 All of Scotland’s sports clubs were involved, all interested in sport were involved and every local authority in the land was involved to a greater or lesser degree. It was a massive undertaking. Ultimately though, Willie Carmichael was at the heart of the whole structure. 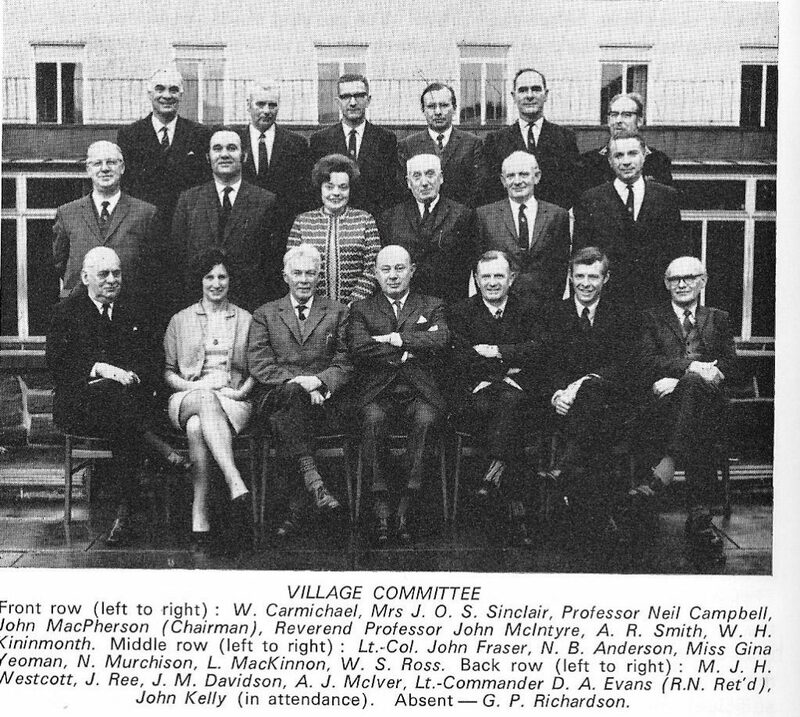 The Village Committee below was only one of those set up to oversee the various aspects of organisation. 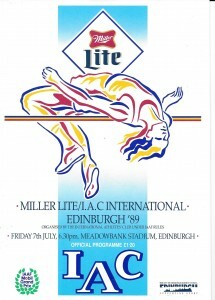 The success of these Games is legendary – from Lachie Stewart winning the 10000m in the rain from Australia’s Ron Clarke on opening night right the way through to Ian Stewart and Rosemary Stirling on the last day of athletics it was a triumph and the competitors from all over the Commonwealth reflected the exuberance of the Scottish hosts. The same tale could be told from all sports – cycling, weight lifting, wrestling, etc all had their moment in the sunshine. They had been the biggest Games with 42 countries taking part, and they were the first Games to be called the Commonwealth Games. Scotland was fourth on the medal table behind the big countries of Australia, England and Canada. It is an academic publication, includes some gentle criticism and is worth at least a look. 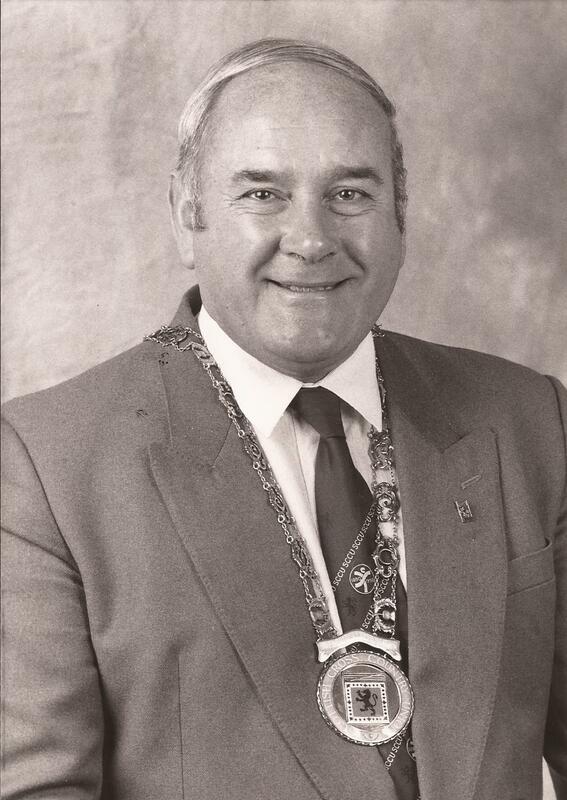 For his part in the winning and organisation of the Games, Willie Carmichael was deservedly awarded the Order of the British Empire (OBE) in 1971 with the citation saying simply ‘Director of Organisation, 1970 Commonwealth Games.’ Commandant of the Scottish team at the Games in New Zealand in 1974, he oversaw a very successful team performance that had clearly fed off the superb 1970 teams. 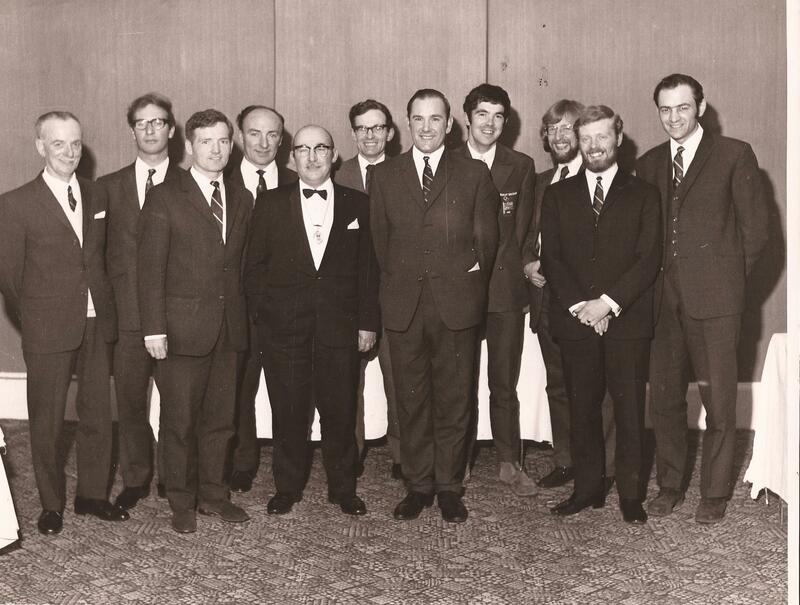 The team was just ovcer 60 strong and Carmichael announced at a dinner in October 1970 that it would be at a cost of £40,000. In twenty first century terms of medals per pound sterling, it was one of the most successful ever! 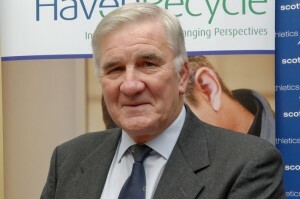 He was also in action in 1978 – his last Commonwealth Games as an official – in Edmonton, Canada and afterwards stepped down from the International Committee. 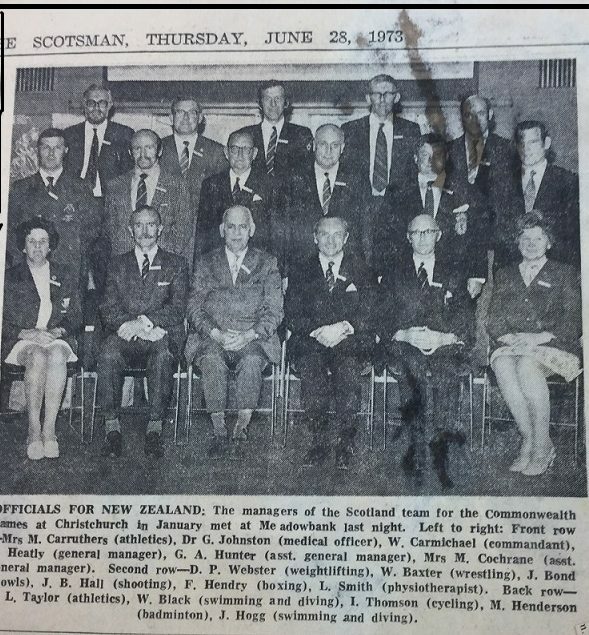 By then he was Honorary Vice-President of the Federation with Prince Philip filling the President’s post.He remained Secretary of the Commonwealth Games Council Scotland until 1979. His interest in wrestling continued right into the 70’s. 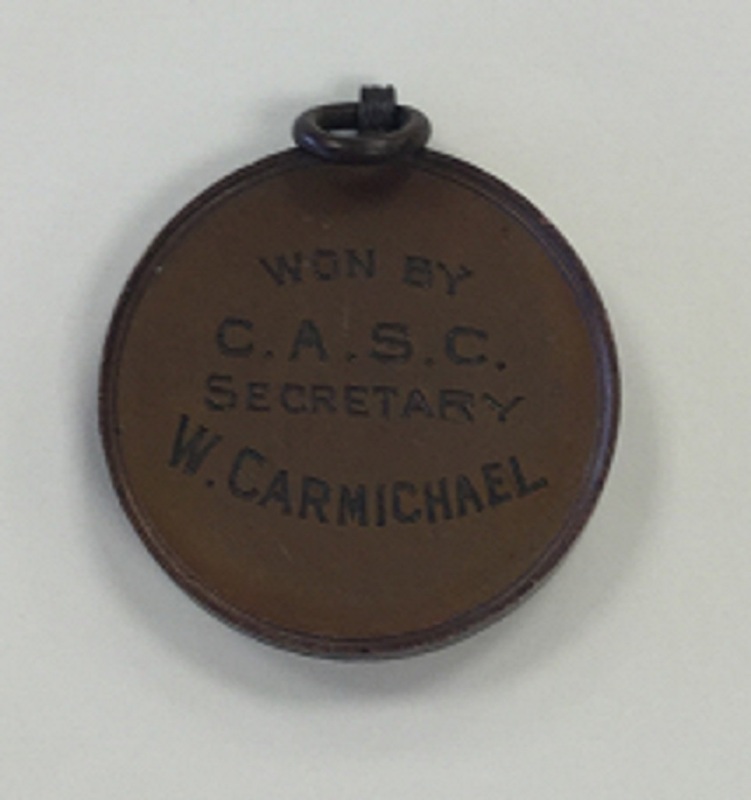 But the Games was undeniably the summit of Willie Carmichael’s career in sport – everything he had done beforehand can be seen as preparation for it. Although the Games of 1970 were the undoubted apogee of his career in sport, he did not do, as many would have and some did, retire at the top of his game. 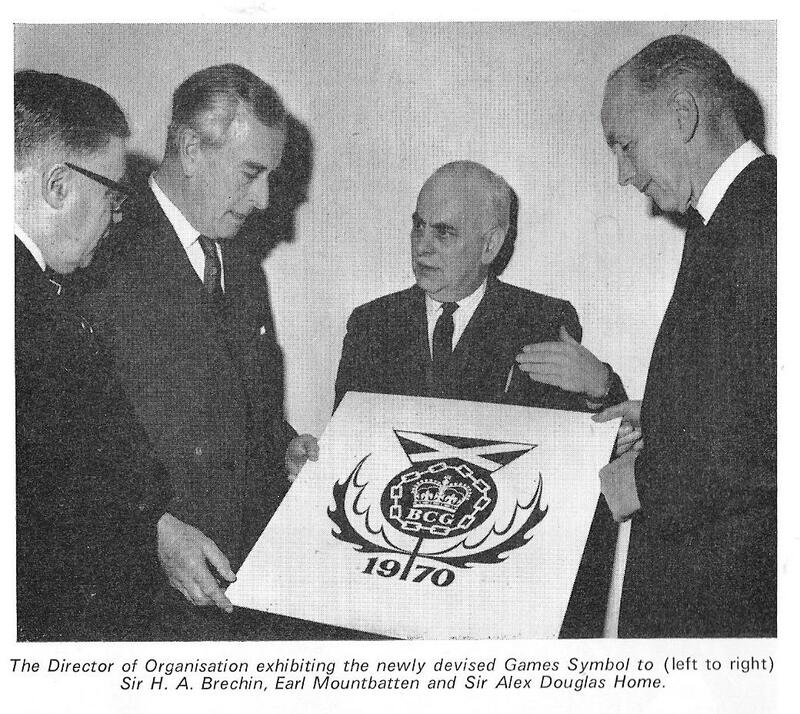 He stayed with the sport – was he not Secretary of the Commonwealth Games Council for Scotland until 1979? 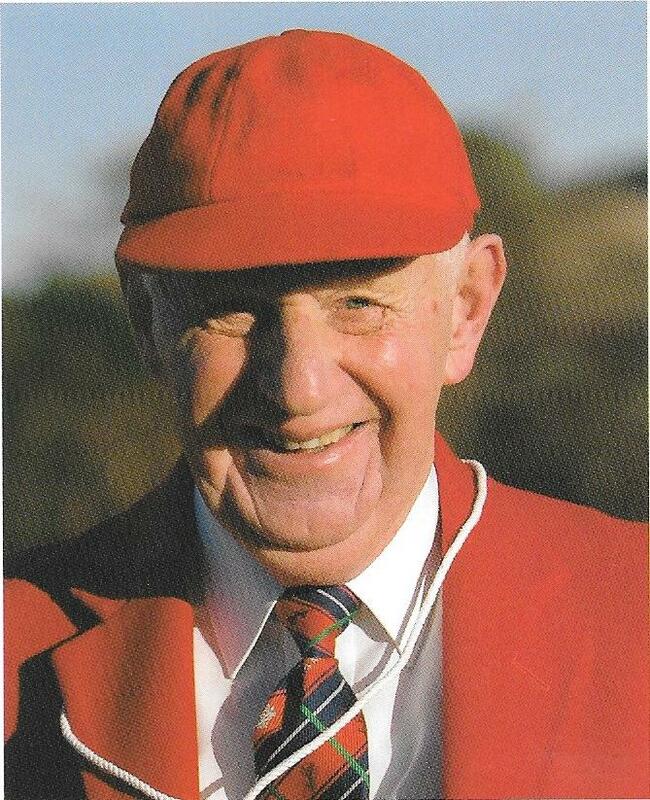 He officiated at many meetings thereafter simply because his love of sport was part of his character. 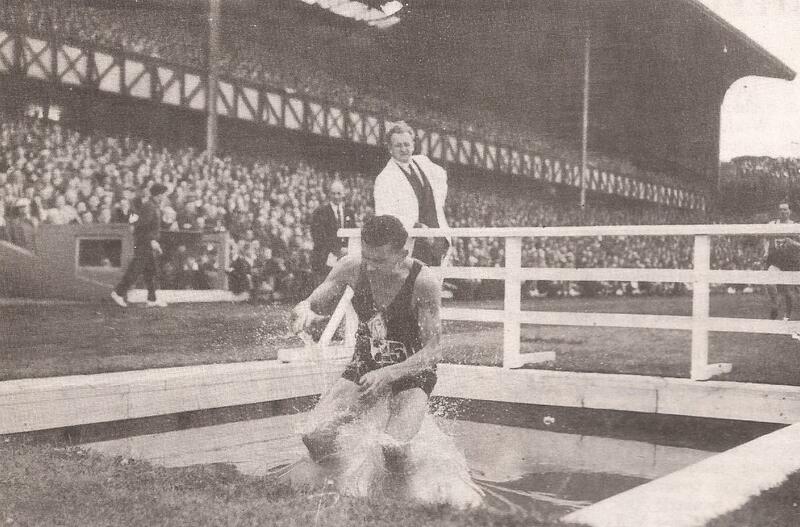 Above all he remained involved with Scottish athletics. At the 1974 Commonwealth Games in New Zealand, he was team commandant, and he was also with the team in 1978 – the year before he stepped down as Council Secretary. 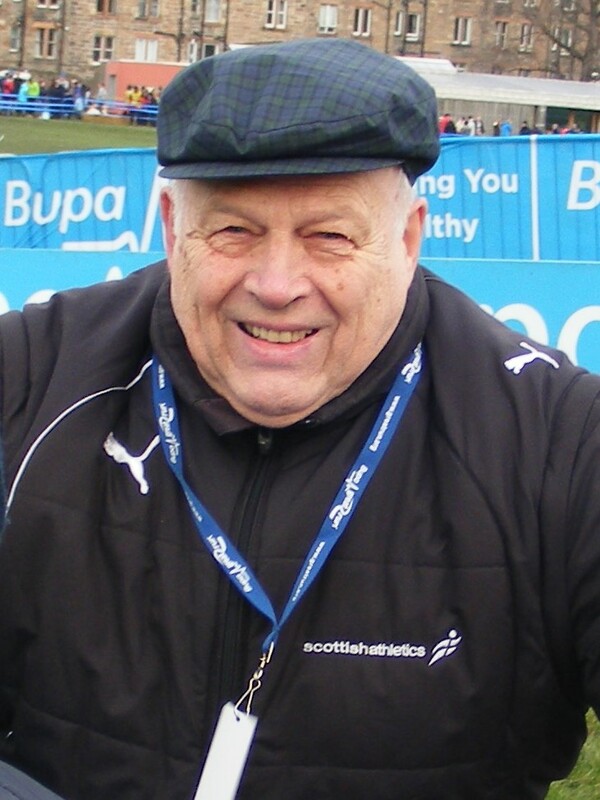 Scottish athletics were lucky to have had him as one of its more faithful servants. When I stepped down from the SAAA Committee, Willie Carmichael was an Honorary Life Vice President having been elected as such in 1958. Even without the 1970 Commonwealth Games he would have had a wonderful career. The work done before during and after made it a totally unique career in the sport. Finally, thanks to all those who helped with this task: Alex Jackson and Graham McDonald who helped get it started and Karl Magee and Ian Mackintosh in the Archive Department in the Stirling University Library. 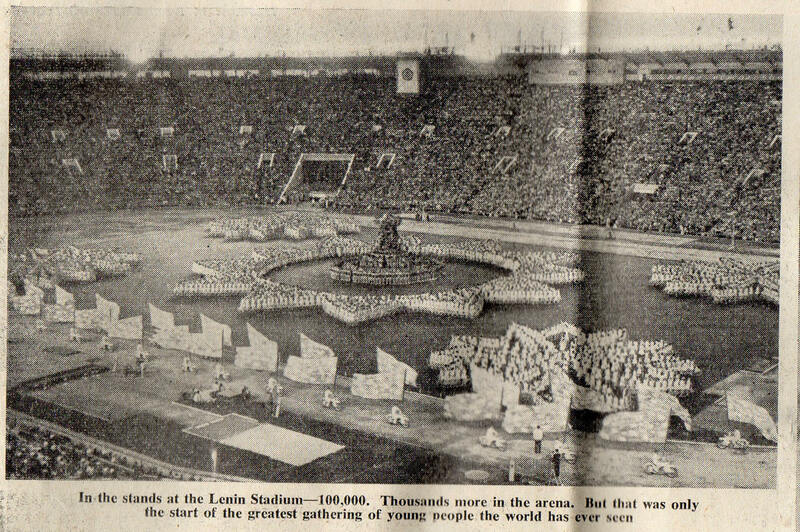 If you are at all interested in the Commonwealth Games of any era, they are a great source of information. Thanks, folks. 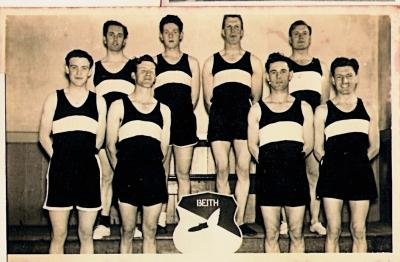 Third row: Jackie Hynd, weightlifter 3rd from right, Brian Burgess, high jumper 2nd from right ; Willie Wood, bowler, in second row on the right. Graham Sword has been involved in Scottish athletics for over four decades and is one of the most respected of administrators and officials. I first met him when we both took our daughters along to Strathkelvin Ladies AC in the late 70’s. 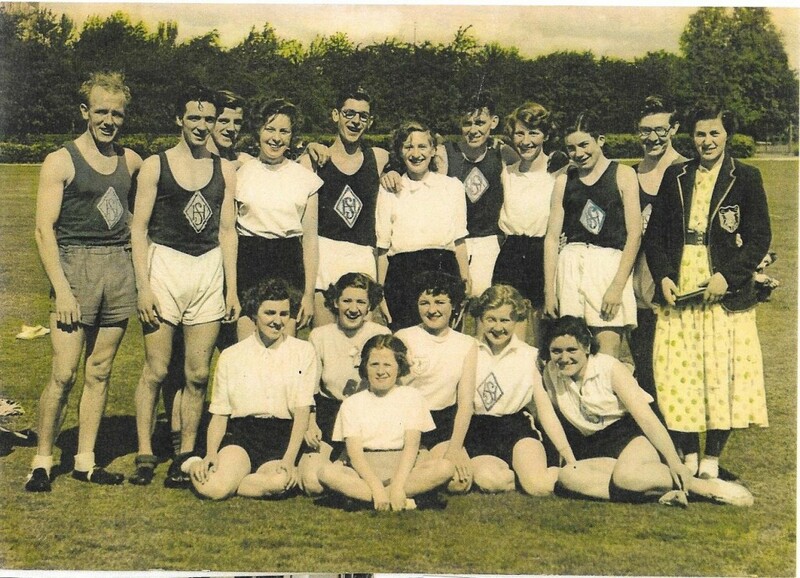 Run by Mollie Wilmoth, Aileen Lusk and Lillias Gorman, it trained at Huntershill along with Springburn Harriers and was a good, well-organised, athletic club. 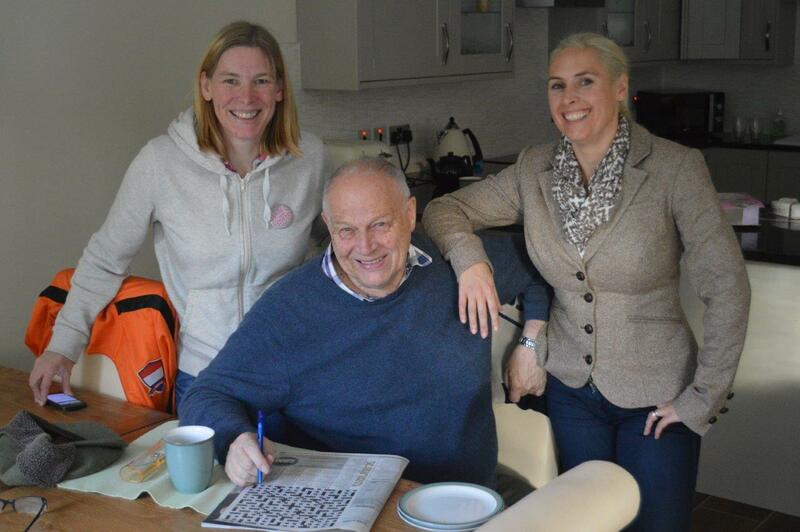 He himself had no running background but was keen to see Sally Ann and her sister Mandy do well and the family supported the club whole heartedly. Although he had no athletics or running bachground, he had been a good all-round sportsman. Graham came from a sporting tradition, his father played rugby in the Borders when it was the real hotbed of the sport in Scotland. 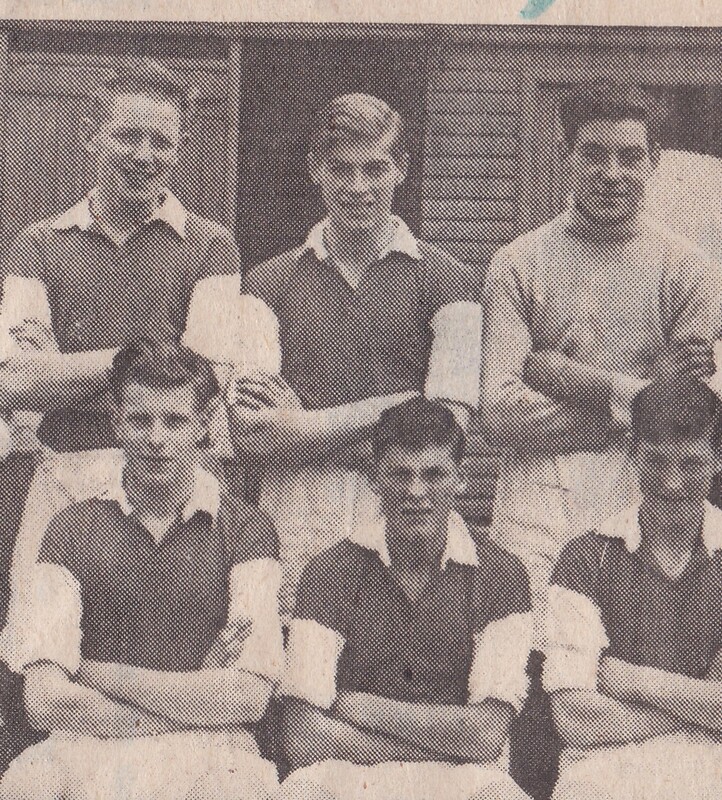 Graham was brought up in Forfar where he played football for a number of teams – the picture above is with the Forfar Renton Under 16 – they had just won two trophies in the season the picture was taken. 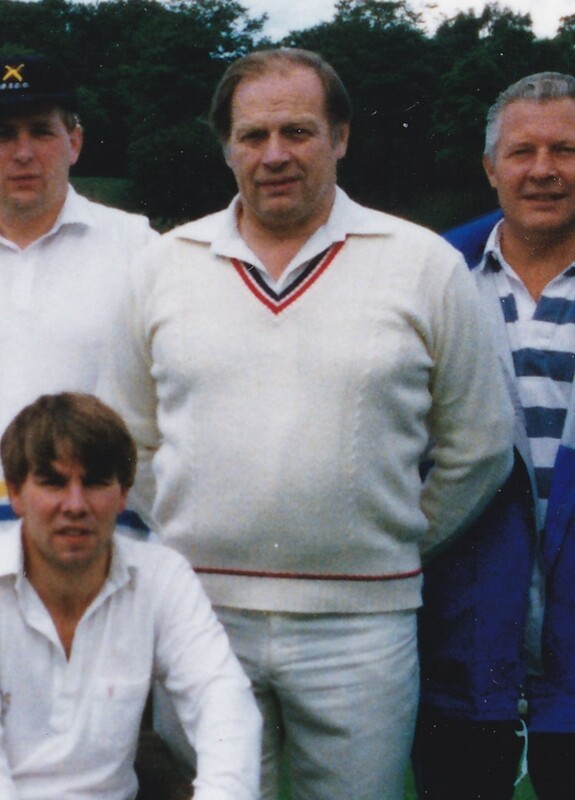 He also played cricket for the Strathmore club as a wicket-keeper and later as a member of the Bank of Scotland team which played all over the country with regular trips to Ireland. Given that background, the girls were always going to be active in sport. 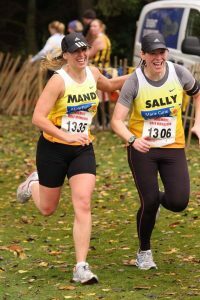 Sally’s track career lasted longer than Mandy’s: she was a good runner who ran track and cross-country as a young athlete but became a very good sprinter who competed in open meetings, inter-clubs and championships. As far as times go, she had personal bests of 12.6 seconds (100m), 25.96 (200m), 58.5 (400m outdoors) and 58.71 (400m indoors when finishing third in the Scottish championships in 1993) and was ranked at Scottish level every year from 1990 to 1995. “Sally took part in The Highland Games from 1982 to 1999 when she announced her retirement. The Sword girls first entered Fort William Highland Games in 1982 with Sally in the track events while younger sister Amanda ran the ‘Quarter Ben’ up Ben Nevis. This whetted their appetite for the Highland Games circuit meaning many weekends for their mum and dad around the country. When she started out, Sally was able to compete on either the south HG circuit or the North HG Circuit. The most lucrative Highland Gathering in the South was Strathallan HG at Bridge of Allan. 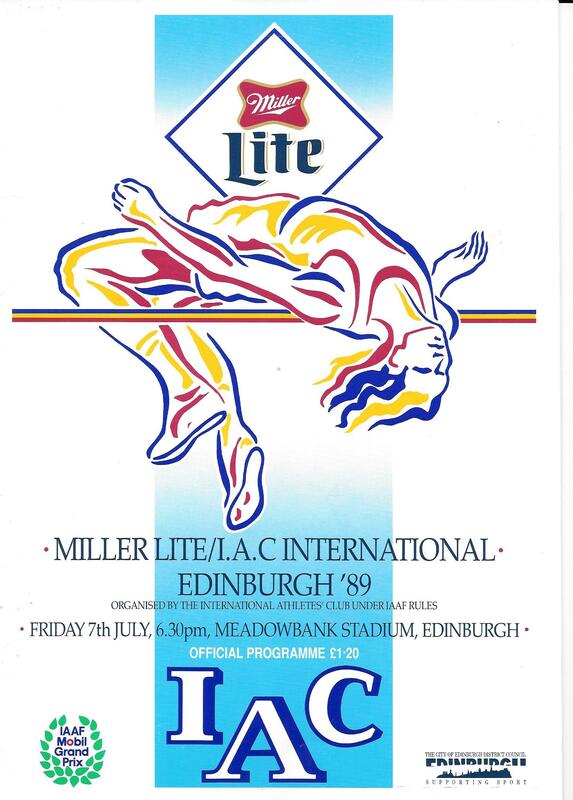 There are only four events for women, Sal didn’t do the 800m, which attracted some of the best sprinters in Scotland. Sally usually medalled and one year after a very successful day won ‘Athlete of the Day’. 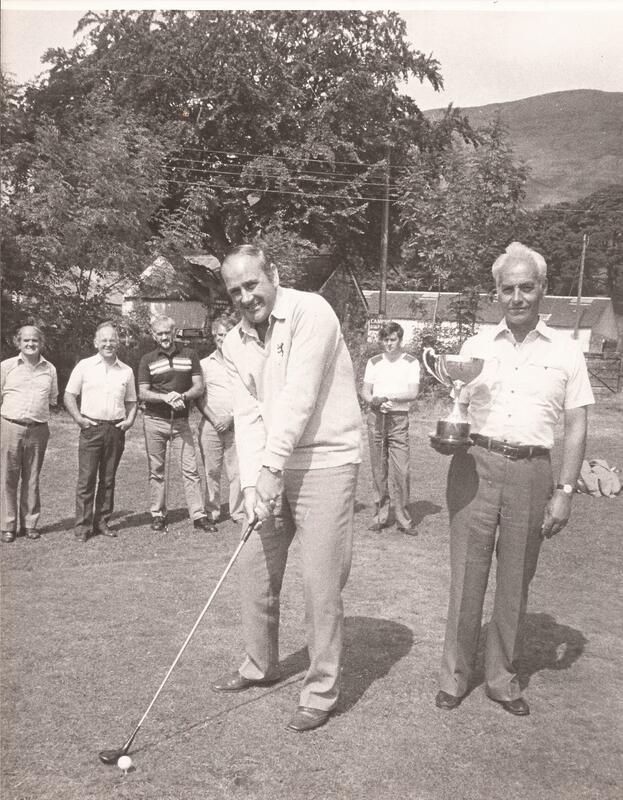 Most of Sal’s success was on the Northern HG Circuit consisting of eight venues – Forres, Elgin, Fort William, Nethy Bridge, Newtonmore, Nairn, Inverness and Drumnadrochit. At first she was seen as the southern invader and was handicapped out of events because of her successes at other events. Handicapping punished athletes who supported the Highland Games. In one 100m event she started behind a Scottish International. In her Highland Games career she won the North of Scotland Highland Games championship at 100m, 200m and 400m championship and was overall Champion on 2 occassions. She also won various high jumps, long jumps and relays. At Elgin while the ladies were competing at the Long Jump the 400m took place without most of the athletes. Another race was hastily organised but with no medals or vouchers as these had been given out in the other 400m Sally sprinted away to win a bottle of the local sponsors whisky. A prize she gave to her dad. Whisky plays a big part in a Highland Games as many local distillers sponsor the events. In Inverness the prizes were a bottle for 1st, half bottle for 2nd and miniatures for third. As Sal won or was placed in the 100m, 200m, 400m, long jump, high jump shot putt and relay, they needed an extra bag to bring the drink home. She married Gary Condie in 1992, competed for several years before she retired in 1999. She returned as a Masters athlete and tried her hand at longer races with respectable times at 5K, 10K, Half and Full Marathons, the last of which was in 2014. The sisters often ran in the same races and the picture below is a really good one. Both women looking really happy doing what they’re doing, in each other’s company and an excellent advert for the sport. Unlike many track people who go up to 26 miles on the road and are never able to come back down, she has now returned to sprinting with an excellent 9.0 seconds for the indoor 60 metres. Graham always enjoyed seeing the girls compete all the way through their athletics careers. Graham also worked as a timekeeper at various international meetings such as the Special Olympics in Glasgow from 2nd to 9th July, 2005, which offered 26 sports to the nations competing. Then there were the Natwest Islands Games XI in Shetland in from 9th to 15th July, 2005. The Games enconpassed 15 sports and these were contested by 24 islands or island groups including Bermuda, Cayman Islands, Rhodes, Faro, Gotland and St Helena. There were of course some other non-athletics benefits for a good time-keeper and one of these involved the UEFA Cup Final which was held in Glasgow in 2007 between Sevilla and Espanol. The phone call came in to the offices for a driver for the occasion. Graham was appointed and had the pleasure of driving a variety of dignitaries to and from their accommodation in East Kilbride and to the airport. In return for their services, Graham and fellow drivers were allocated seats behind the dug-out for the actual game. 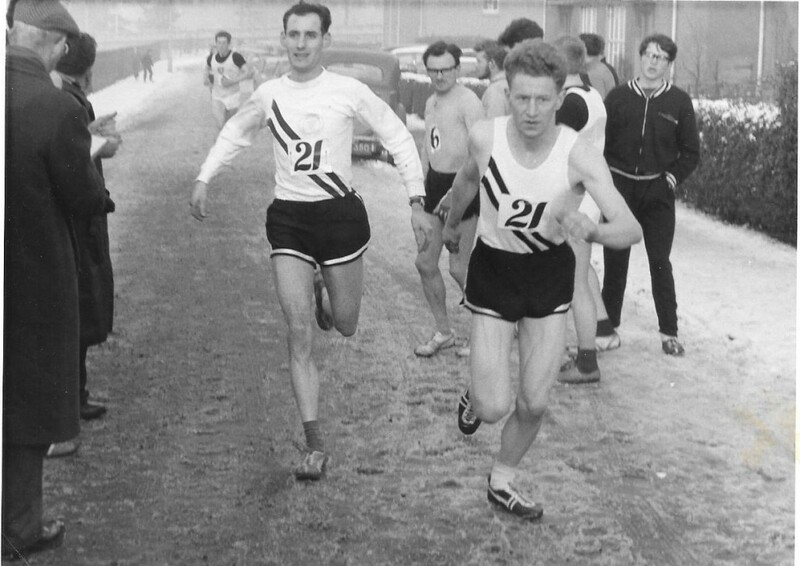 His value was recognised by the winter enthusiasts as much as by the summer, as is shown by the fact that in addition to local and national races, open meetings and championships, Graham worked at international cross-country events, including European and World championships whenever they were held in Scotland: in Edinburgh, at Bellahouston and at Tollcross in Glasgow, at Coatbridge and at Veterans internationals as well as at Senior and Junior matches. 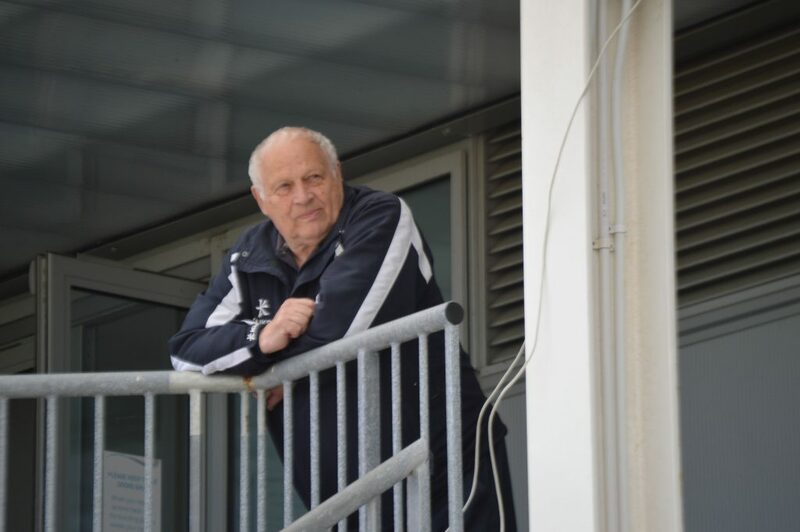 International duty has also taken him to England as a team manager and to Greece. 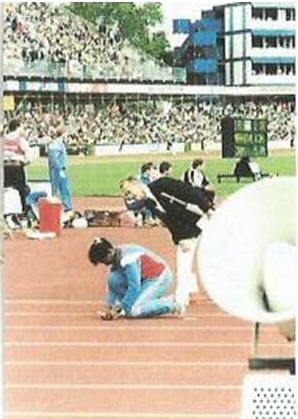 Like all quality officials however, his involvement did not stop at his first qualification or involvement in the sport. His work as an administrator of the very highest calibre has been recognised nationally in Scotland and also at GB level. It is instructive to look at how much work was involved at that time when all championship entries were on paper and sent by post. For instance, for a championship meeting, they would meet three or four days a week in the Glasgow office. The postal entries would all come in and had to be entered on ‘spreadsheets’. These were not Microsoft Word Spreadsheets but large paper documents where every athlete, every club and every event had to be entered legibly by hand. From these the programme had to be made up and Margaret, as the best typist, typed them up to go to the printer. Meanwhile entry tickets and timetables had to be sent out to the athletes – the time spent stuffing the envelopes is incalculable. In addition to that work, there were invitations to go to officials and accommodation and venue had to be booked well in advance. Graham was still time keeping on the Saturdays while this was all going on. Then came the day/days of the championship and the troops were back in action. 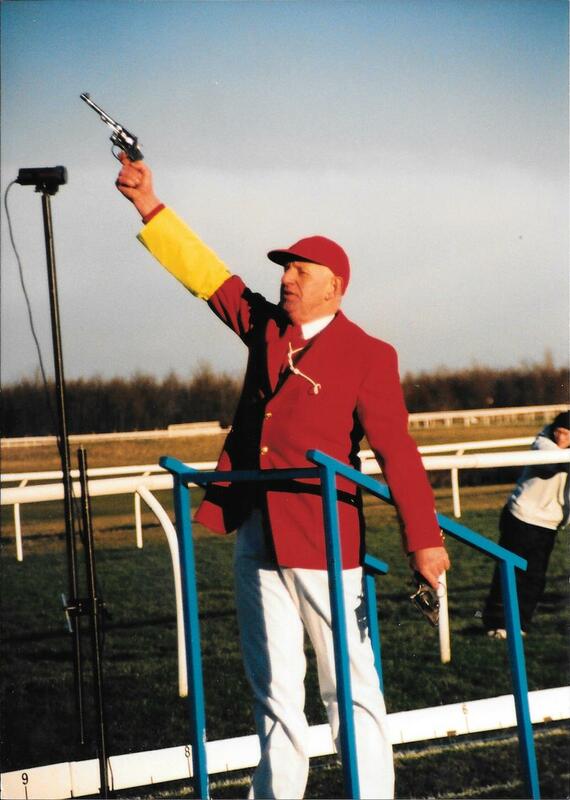 Graham was involved at many meetings taking the declarations at the meetings or taking entry money at the door and/or selling programmes. And then of course, at the end of the meeting there was prize giving to be dealt with. Often enough Graham had to present prizes. Graham had done all that work prior to the meeting and on the day he did not see much of the action as he was doing the chores listed above but he still says that the job he liked least was when he had to come into the public eye and present the awards. 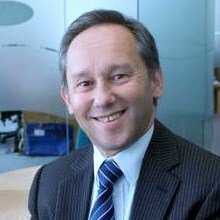 “Graham has held many roles over the years but as a retired Bank Manager his skills have mainly been used in Treasurer/Finance officer roles. These roles have been with scottishathletics Track & Field Commission, scottishathletics Road & XC Commission, Scottish Young Athletes league and Scottish Athletics Indoor League. 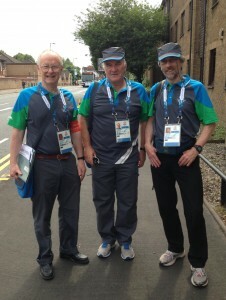 Graham has done a great job over the years managing the ‘books’ in his own quiet way but he is often seen at scottishathletics championship events taking entry money from spectators and selling programmes as they arrive at stadium. Molly Wilmoth tells us that in those days the officials at meetings were paid their expenses on the day and Graham often did that with the help of Brian Goodwin. Nowadays the expenses are paid often months after the events. Just another one of Graham’s tasks. After following this with the Scottish Off Track Official of the Year, in 2006 he received the UK Off Track Official of the Year. 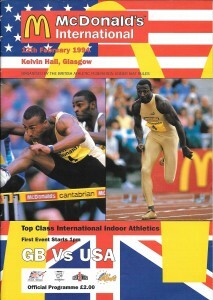 The presentation was made on 25th November 2006 at a glittering function attended by the great and the good of UK Athletics. Alan Potts received the award for Volunteer Co-ordinator of the Year at the same function but neither man is keen on such high profile occasions and both had to be asked more than once to go down: although they had been nominated, neither thought that they would receive anything! They both did because they both deserved to. So far we have seen Graham as a parent-helper, time keeper and official, championship administrator and now finance officer. The honours that have come his way have been well earned but when he was asked what he got out of the sport, what he enjoyed doing most, the reply came like lightning. “Watching the girls running.” After 50 years in the sport (and counting) what brought him into athletics is what still gives him pleasure. Other than that he says he also gets satisfaction out seeing that jobs are done properly . Typical of the many tributes to Graham from those who worked with him was the following from Clare Barr. 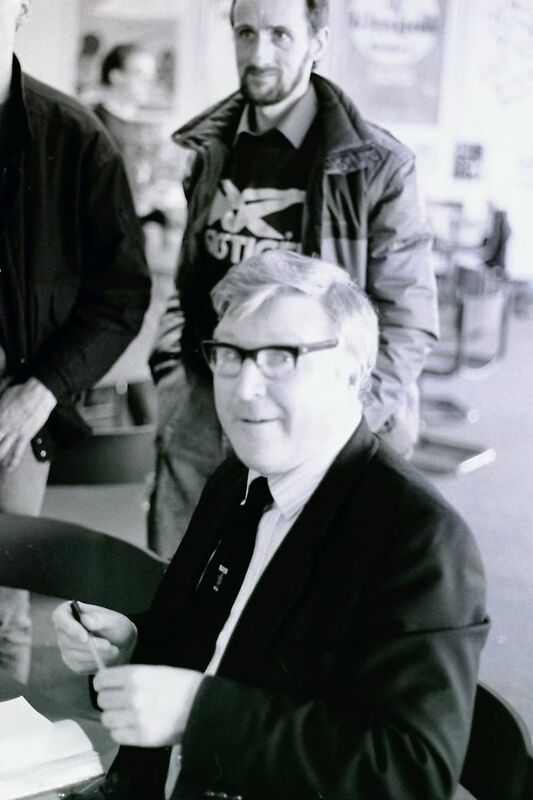 Anyway, Graham was the West District Secretary and he took me gently under his wing, subtly pointing me in the right direction and showing me the ropes, but he did it so tactfully that I did not realise at the time how much he was helping me. Graham knows EVERYBODY, and has done for years, and all the District history, so he was brilliant for me as a total newbie – showing me how all the paperwork is processed, and introducing me to all the Officials etc. Everybody likes Graham. Margaret’s last remark puts her in good company – one of Graham’s many functions at some internationals was to act as ‘driver to the stars’ as one correspondent put it! Molly Wilmoth who organised the Strathkelvin Ladies AC where Graham first won his spurs has followed his career with interest and they are still the best of friends today. In addition to the various tasks noted already, she points out that he was always available to assist Danny Wilmoth in oprganising the many veterans events in which he was involved as well as his involvement in track & field, cross-country, road running and disability athletics. Molly lives in Kirkintilloch and Graham in Bishopbriggs, both are timekeepers and since they frequently officiated at the same meetings, he frequently drove her to events. 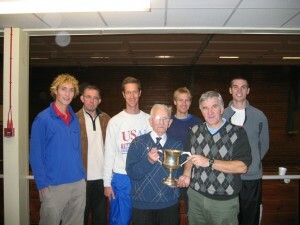 It is a friendship which benefited Scottish athletics and that has lasted almost 50 years. Very much a family man, he still has his interest in football and he likes watching Clyde and Blackpool with Grandson Ewan. He has been known to get an athletic meeting started then nip off to pick up his grandson and head for the game. He even ‘dragged’ son-in-law Gary on holiday to see Carlisle v Blackpool! Alex Jackson sent this video link – Graham appears talking to the camera at about 1 minute 15 seconds into it. 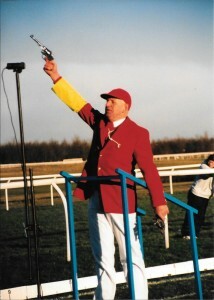 https://www.youtube.com/watch?v=YmWHbofCtPs It is of the West Dsitrict Championships in 1996 and Graham appears several times in the course of it. Leslie Roy is one of the best known and hardest working officials in Scottish – maybe in British – athletics. She’s always the same, always smiling and always doing her best for the athletes. Leslie however started out in athletics as a very promising young runner, winning team and individual medals and trophies with her original club, Victoria Park AAC in the west end of Glasgow. She went to Scotstoun one Thursday and the following Saturday she was in a team competing in Balloch Park where she finished sixth. The following December she ran in the West District Championships at Bellahouston Park where she finished second in the Under 13 Girls race and then in the National cross-country championships she finished sixth. Clearly a promising young runner she specialised in the 800m on the track where she progressed from 2:21 in summer 1974 to a best of 2:12.6. 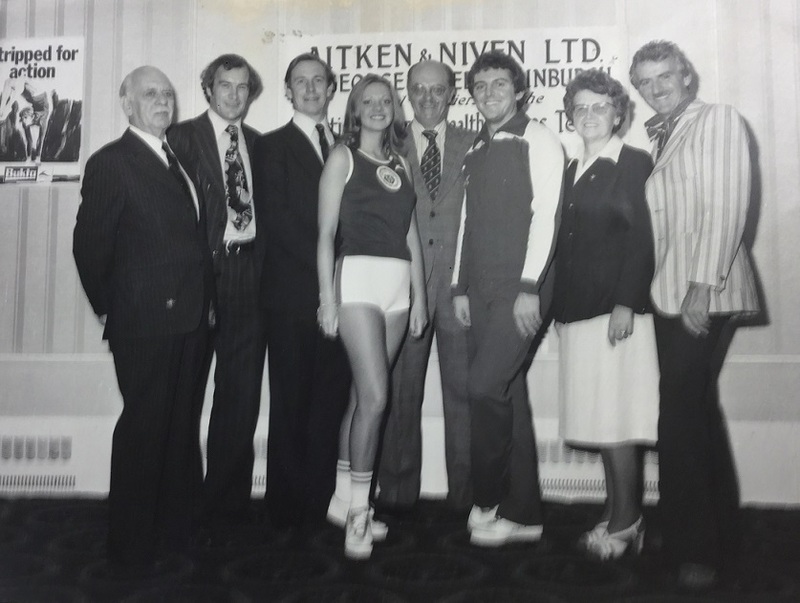 If we start in 1974, Leslie was second in the West District Championships and shortly afterwards she was fourth in the East v West match at Meadowbank on 26th May in that pb of 2:21. 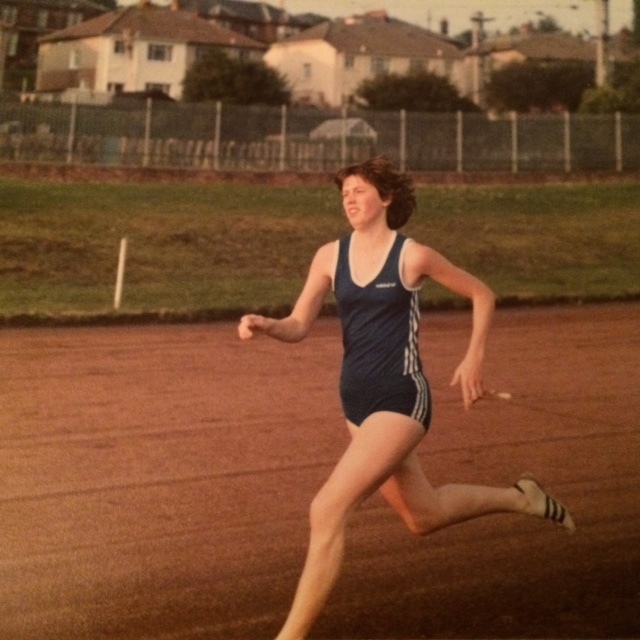 Leslie followed this up on 1st June, 1974, in the SWAAA championships for girls, juniors and intermediates at Grangemouth where she was fourth in a 1500m 5:09.1. In between times she won a 100m at the Glasgow Championships in 13.8 seconds. Her best 800m in 1975 was 2:20.0 which ranked her number 20 in Scotland. Early in the 1976 season, on 28th April, in a match between Glasgow AC, Glasgow University and Shettleston Harriers Ladies she won the 800m in 2:24.5. Then in the Glasgow Highland Games on 15th May, Leslie finished third in the 800m which was won by Evelyn McMeekin. That was followed by a third in the West District Championships at Grangemouth in the 800m with 2:26.4. At the national championships in June she was third in the Intermediate age group championship in 2:21.9. These performances were such that she was selected for and competed in the first Celtic Games, held at Balgownie, Aberdeen, on 14th August 1976 for the 800m. Scotland with 110 points defeated Wales (94), Republic of Ireland (84) and Northern Ireland (51). Her best performance that year was 2:15.8 which ranked her fourteenth in the country. A good club member she competed in several events in inter-club fixtures all over the country and was ranked every year from 1974 to 1983, usually in two events with best performances of 2:12.6 for 800m, 3:01.3 for 1000m, 4:43.3 for 1500m, 10:58.3 for 3000m and 68.07 for the 400m hurdles. 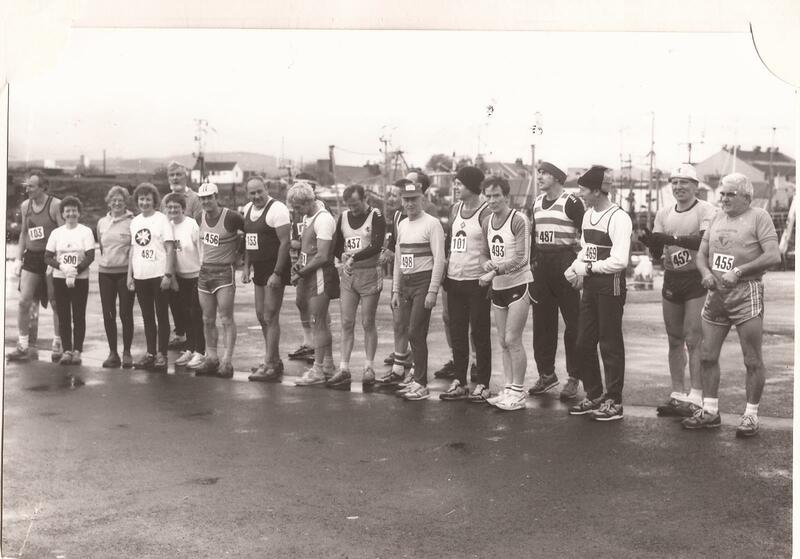 As a young senior she finished second to Christine McMeekin in the West District 1500m championship on 3rd May 1980. Now, in the twenty first century, there are many leagues providing competition as well as demands from team managers for athletes to turn out as often as possible but there were few leagues in the 1970’s and athletes ran in sports meetings and highland gatherings all over the country. 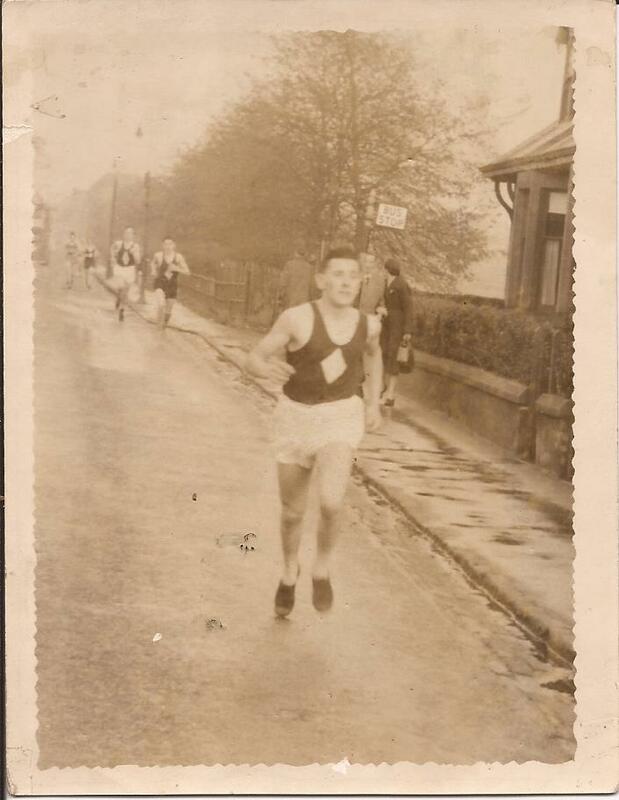 Leslie was no exception and raced at such as Shotts, Carluke, Strathallan, Glasgow and Gourock. 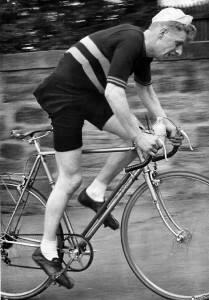 Leslie won various events on the circuit e.g. she won the 400m from scratch in the Gourock Highland Games in 67 seconds in May 1981; on 5th June 1982, Leslie won the 800m at the East Kilbride Games off a mark of 28 metres. 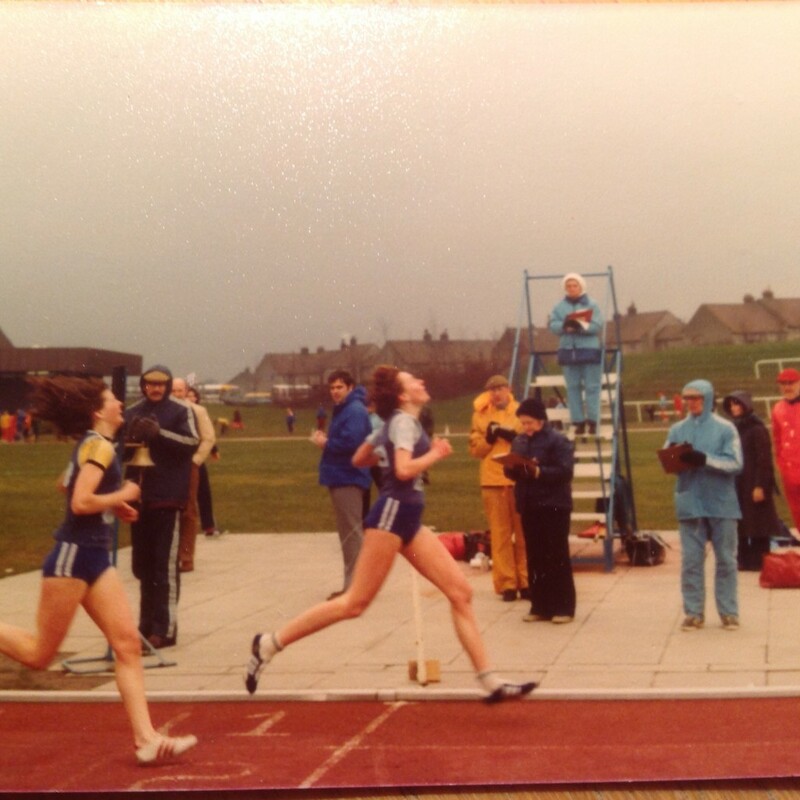 Still running well in 1982 Leslie won the 800m in the East Kilbride Games in 2:24 and finished the year with a 68.07 for 400m Hurdles placing her eighteenth in the rankings and in 1982 she ran 3000m in 10:58.0 and 400m H in 69.5 seconds. Clearly a good athlete, Leslie said in response to direct questions on that part of her career in the sport that her training partner in the 1970’s was Alice Linton who was second in the SWAAA 800m twice and had a personal best of 2:06. From about 1980 on she was coached by Iain Robertson and trained with Sandra Whittaker, Angela Bridgman and Yvonne Anderson. Iain was in my estimation the best Scottish coach that I had the pleasure of knowing and working with and the athletes mentioned were all really top class runners with Sandra being a fairly successful Olympian. Her best race, in her own opinion, was the 1978 SWAAA 800m at Meadowbank where in a top class field of Ann Clarkson, Evelyn and Christine McMeekin and Alice Linton among others, the field was bunched at the bell with Leslie right in there. Then the athlete that she was tracking dropped out and she lost concentration. Easily done – tactics are often keyed to another runner and when that athlete disappears from the track when you are travelling at speed there is always a temporary lapse. 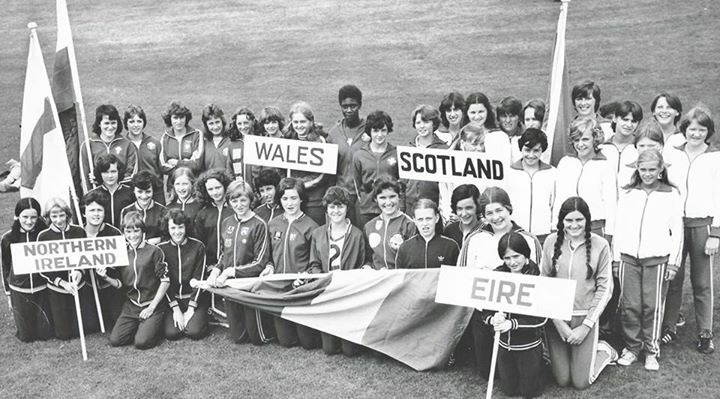 Celtic Games, 1976: Leslie is in the back row, to the right of the flag. 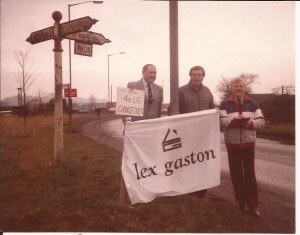 Leslie’s athletic career came to an end because of injury problems and, having been club captain in the early 80’s, she became club secretary in October 1985. This was a post that she held in Glasgow AC and then City of Glasgow AC until October 1999. 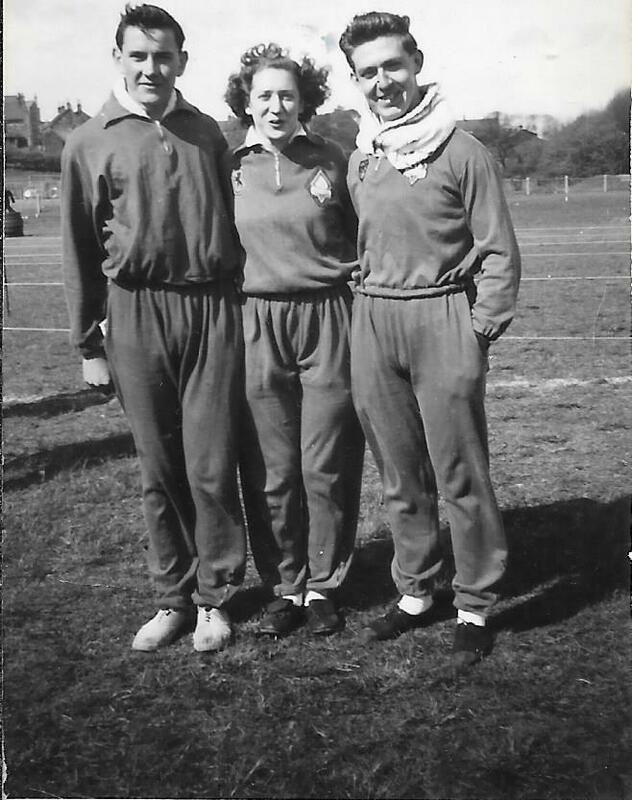 She had already become involved in activities outside the club and from 1982 she had been officiating in admin roles such as presentations, helping with the preparations for meetings, getting to know the officials and generally learning the ropes. 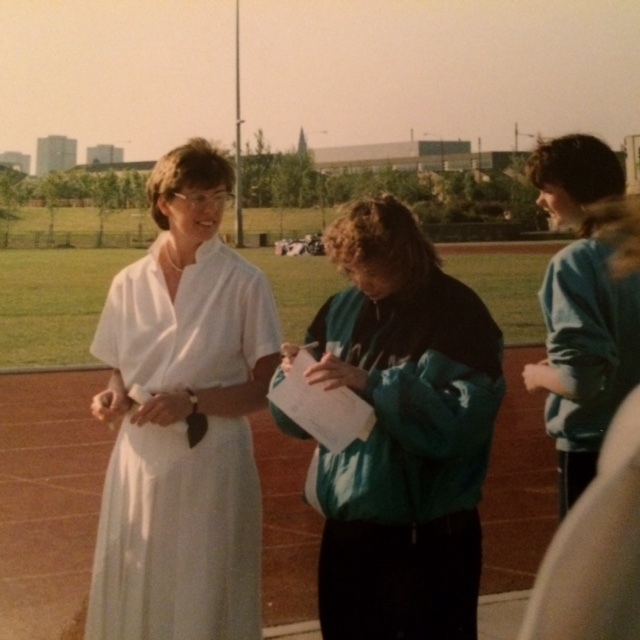 In 1984 Leslie got her qualification as a field events official: unfortunately it was just too late for her to officiate at the 1986 Meadowbank Commonwealth Games but she volunteered and got a job as a fire steward in the main stand which, she says, was a great position from which to watch all the athletics. From that date she has officiated at meetings of all standards: open graded, league meetings, championships at all levels and at UKA TV meetings. Like all good committee members she became a club representative. 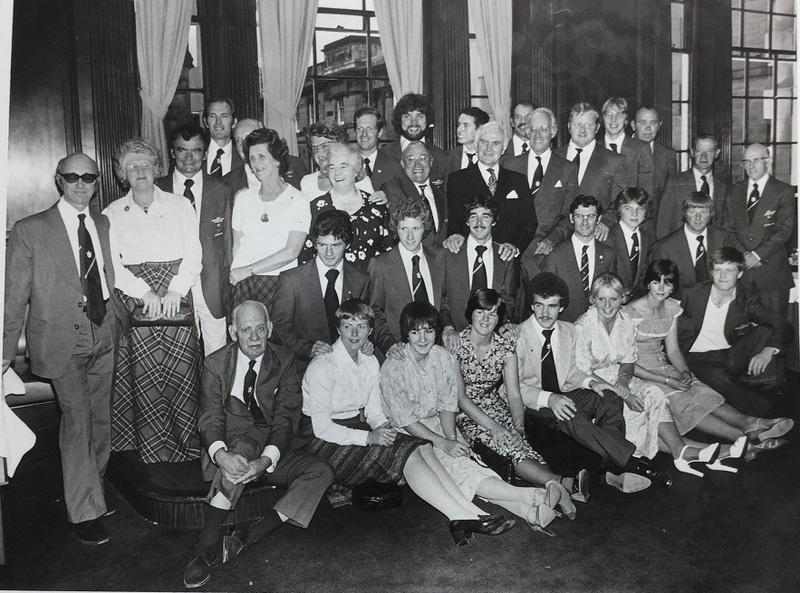 In Leslie’s case she quickly became Division 1 secretary of the Scottish Women’s Athletic League (SWAL) 28th November 1989 until November 1992 when she was elected to the position of SWAL secretary. Leslie held that post until 2008 – 16 years in all. 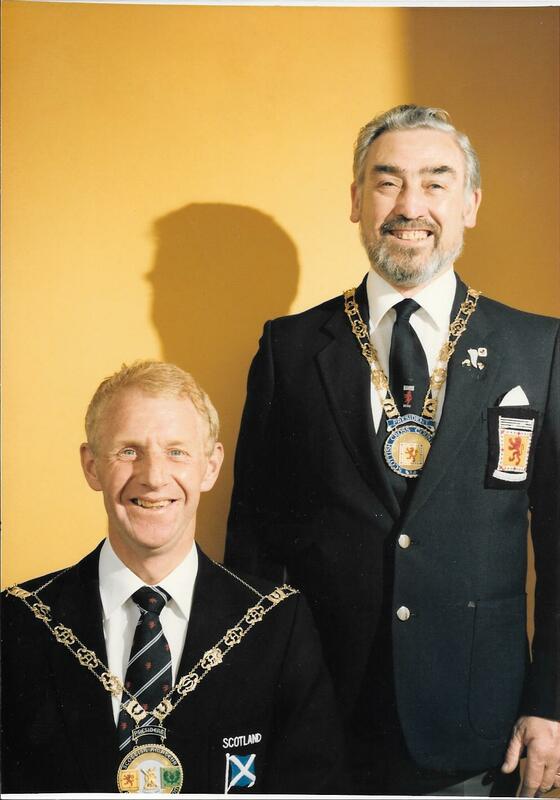 In addition to the club and league duties, Leslie had become the West District Representative on the SWAAA Executive Committee in 1990 and stayed there until the formation of the Scottish Athletics Federation in 1992. 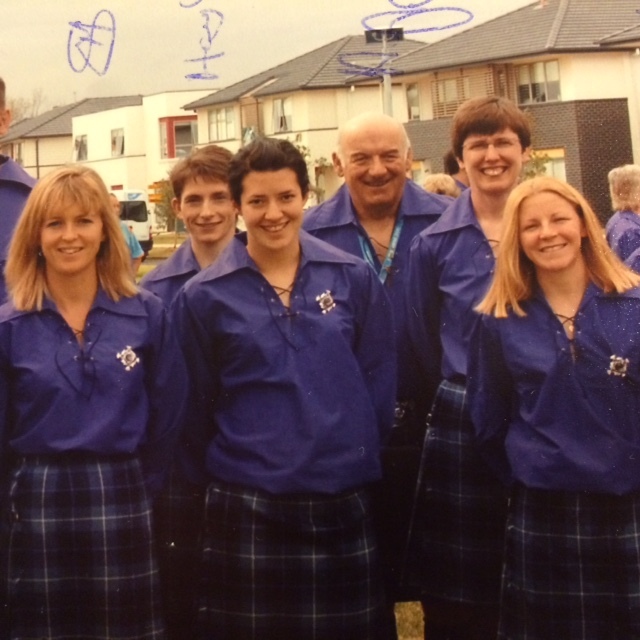 Also from 1996 Leslie has been part of the Scottish team management. You will note the number of roles running parallel at this point with responsibilities encompassing Scottish athletics activities at club, district, national and (via team management and selection) international levels. All this in the short period since she had stopped running and racing. This was the point when Scottish athletics was being reorganised; when the SAAA, SWAAA, SCCU, SWCCU and Hill Runners all came under the one umbrella of the Scottish Athletics Federation. 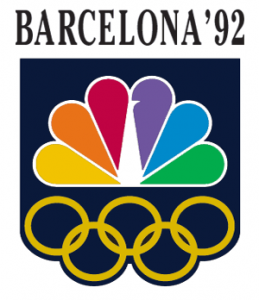 There were problems but it was generally a period of great excitement in the sport despite the inevitable teething troubles. In addition to the changes in Scotland, there were changes in the other governing bodies in the British Isles and in the relationship with UK Athletics. From 2012 to 2015 was a Commonwealth Games Scotland Selection Panel member. A considerable range of posts with a range of skills required do any of them properly. 2000 – Commonwealth Youth Games as Assistant General Team Manager. This was the first ever CYG and was held in Edinburgh. 2003 – Part of the management team for the GB & NI Team for the European Under 23 team in Bydgoszcz, Poland. 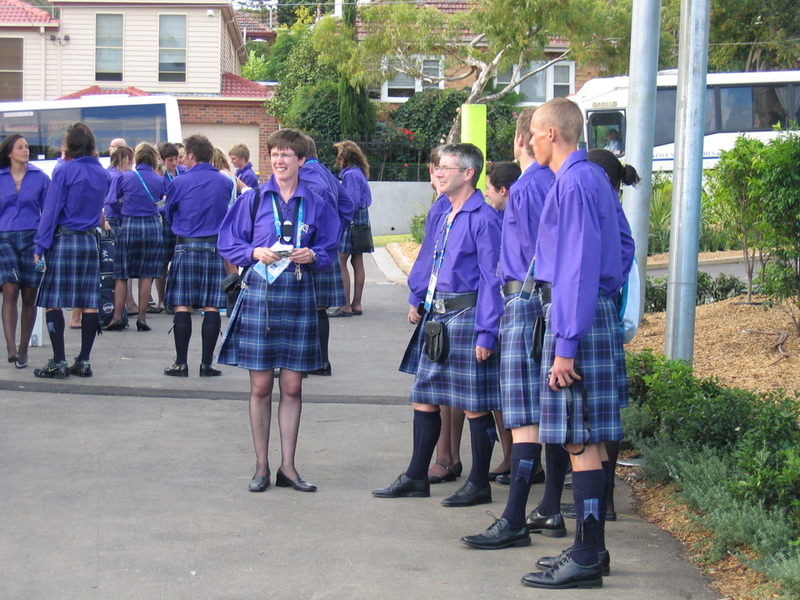 2004 – Commonwealth Youth Games in Bendigo, Australia as part of the General Team Management. 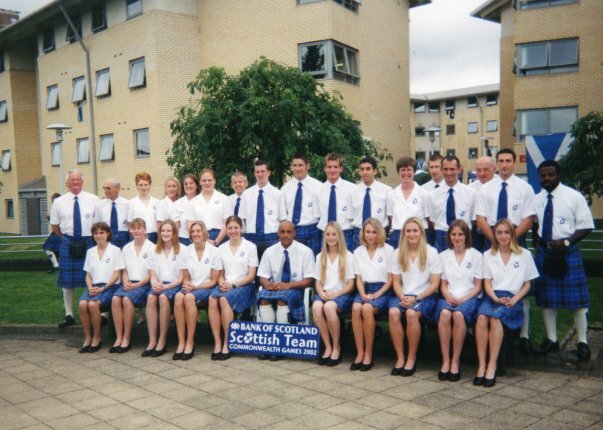 2005 – Part of management team for GB & NI team for European Under 23 Championships in Erfurt in Germany. 2006 – Commonwealth Games in Melbourne – Athletics Team Manager. 2008 – Commonwealth Youth Games in Pune, Australia as part of General Team Management. 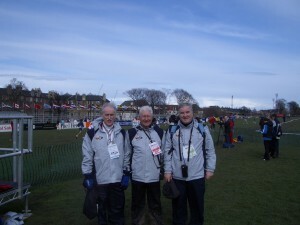 2011 – Commonwealth Youth Games at the Isle of Man as a Field Official. 2014 – Commonwealth Games in Glasgow. General Team Manager for Transport & Logistics (again for all 17 sports). 2016 – Commonwealth Games in the Gold Coast. General Team Manager for Transport & Logistics (All 17 sports). Ten major events: none of these is a straightforward task: the problems of organising transport for 17 sports over several weeks in Delhi, for instance, must have been many and varied. To be involved at that level over a 15 year period represents a considerable dedication to the job. Many would be incapable of doing these jobs at all, some would be able to do several of the jobs, and others while competent would be unable. Leslie has always, as far as I am aware, had a good relationship with the athletes that she is working with. Indeed one young athlete that I spoke to after his first Commonwealth Games compared Scottish officials most favourably with the English ones and mentioned Leslie in particular as being helpful. The Gold Coast appointment is her fifth consecutive Commonwealth Games and must surely be some kind of record. Undoubtedly Leslie has many outstanding qualities but in the beginning, and maybe for several years along the way, she would have had examples of how to do the work and when asked she said that there were three main influences. 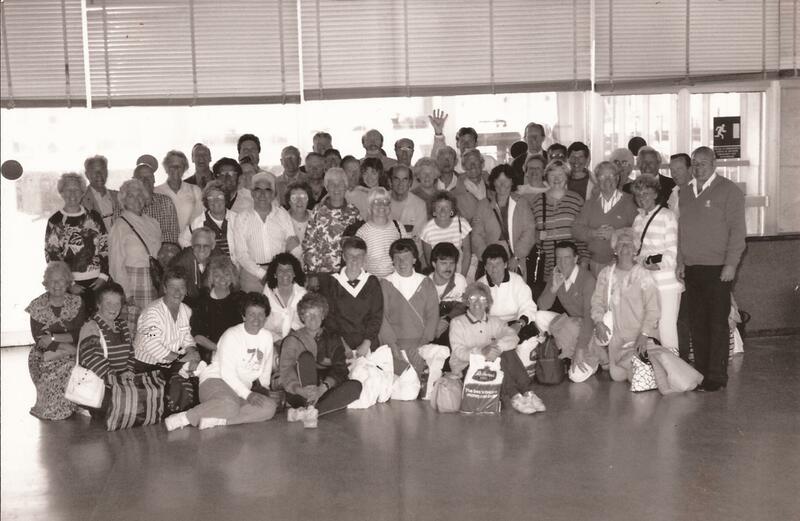 “Isobel Dunkeld: was club Vice President and then President in the 70’s and 80’s and I learned a lot about club athletics from her. 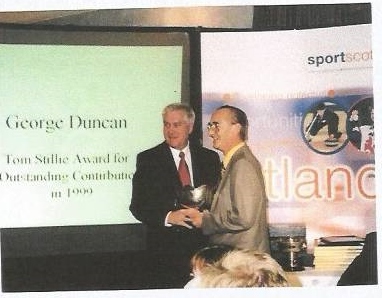 George Duncan was my mentor. He encouraged me and helped me to recognise my own abilities. He and I ran the SWAL together for many years and were instrumental in making changes to the league. We recognised that clubs were struggling to field full teams so instead of small clubs turning out with a handful of athletes we encouraged clubs to get together and form a composite team thus reducing the league down to one division which created better competition for the athletes. In fact George and I introduced this long before it ever happened at UK level. We would say that UKA got the idea from us. She has over the course of her career so far collected several honours and awards but three that mean a lot to her are the life-membership of her club City of Glasgow AC which was awarded on 25th October 2000, life membership of scottishathletics in 2008 and the Tom Stillie sword which was presented in 2002 after the Commonwealth Games in Manchester. Leslie started out in athletics in the mid-70’s and started her officiating career in the 80’s – which are 30 and 40 years ago respectively, but she doesn’t seem to have lost either interest or momentum. In fact she is probably doing more and gaining momentum with every passing year. 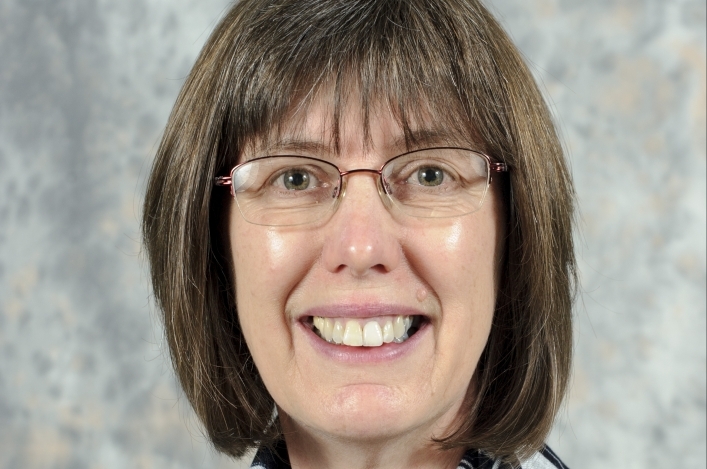 Rodger Harkins, Director of Coaching at Scottish athletics, said: “I have known Leslie for a number of years. We first worked together on the Scottish Athletics Junior Commission in the early 90’s, as team managers for Scottish U15/U17 teams mainly Celtic Games, U20 teams at that time with the likes of Darren Ritchie, Sinead Dudgeon, Alison Curbishley, Lee McConnell, Ross Baillie, Andy Young, Ian Mackie and many others, U23’s and Senior teams. Hugh Murray, National Coach Mentor for Throws, has also worked fairly extensively with her and says this. “I had worked with Leslie on Team trips prior to 1999. But it was round about then that circumstances brought our athletics involvement much closer together. Leslie had been deputy to George Duncan who I believe saw her as his successor, and his untimely death resulted in Leslie being appointed as the Convenor of the Track and Field Commission which back then was a very important role. This coincided with an invitation to myself to take on the role of Director of Performance and Excellence (sounds more important than it was), with Scottish Athletics, as a replacement for John Anderson who was moving down South. So we sat on the Board of Management together. Meg Stone was still National Coach at the time. It was a time of change at Scottish Athletics as they were in the process of becoming a professional National Governing Body and were changing from being a Federation to a Limited company which carried its responsibilities. After a pretty lacklustre performance in Kuala Lumpur, we had a challenge. First of all we had to put together a fair and reasonable Selection Policy and process for Manchester 2002. We had to look at what progression over the next three years looked like for our athletes. The Bank of Scotland squads had not been going long but they were starting to produce some promising prospects, Chris Baillie, Richard MacDonald, Mhari Walters, Susan Scott to mention just a few. We also had to ensure that our promising athletes had the correct level of competition in their programme to prepare them for the big occasions. Leslie was key to all these decisions and to the work that went into it. Her organisational and logistical skills never failed to surprise me. Our first trip to Gothenburg to the European Athletics Calendar Conference resulted in what was to become an Annual event for our Juniors of a match with Cyprus. Israel and Greece. We also achieved small team opportunities through to many European countries including Russia, Hungary, Belgium, France, Estonia, Lithuania and Croatia. Leslie ‘Team-Managed’ many of these trips and I ‘Team-Coached’. Her organisational and management ability on these trips were second to none. I remember on one trip we had to do a transfer from one terminal to another at Heathrow airport. One young athlete on her first trip was somewhat confused, and said to me, “Hugh how do you know your way from one terminal to another?” As we stepped on an escalator I said to her, “I don’t – but don’t worry dear, when we think we are lost just look in front of you and you will find Leslie pointing you in the right direction.” We stepped off the escalator at the top and to her surprise, not mine, there was the smiling Leslie pointing in the right direction. Whenever we did trips together Leslie was always the tour rep. In our down time, and that could be substantial after competitions abroad Leslie could always be guaranteed to fix up a sight seeing trip to places of interest be it Red Square in Moscow, the old own of Tallin in Estonia or Reykjavik in Iceland and she was so well informed she could give you a guided tour without a tourist booklet. Her dedication to Team Manager responsibilities is also an example to others. In 2002 after 2 gruelling days of competition in Manchester at the test event 2 weeks prior to the Commonwealth Games it was 7 pm and I had just escaped the Manchester traffic and was about to hit the M6 for the long drive home. I had on board Leslie and the Team Physio when her mobile phone rang. The call was from one of our more experienced Senior athletes who had been pulled for a drugs test after the last competition of the day. “Do you want a chaperone” says Leslie. I was already turning the car around by the time she told me we were going back. At 10 pm that evening the athlete finally peed. We were all grateful. She went on to team manage her first Commonwealth Games team two weeks later. 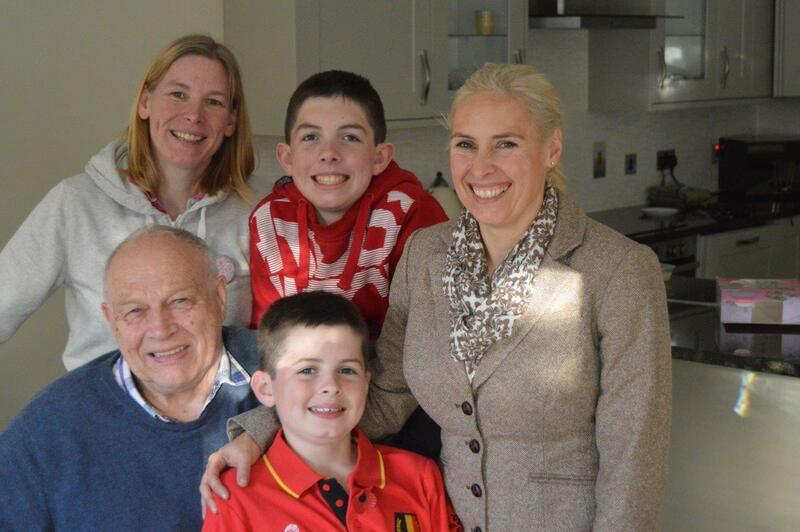 Our next big adventure together came with her appointment as Team Manager and mine as Head Coach to the Commonwealth Games Team for Melbourne in 2006. Her Team preparation from 2 years out was meticulous. Melbourne unlike Manchester was an early Spring Games on the other side of the World. Preparing the Team was the biggest challenge either of us had ever faced. We had had a practice with the Commonwealth Youth Games in 2004 in Australia and we drew upon that experience but this was something else. 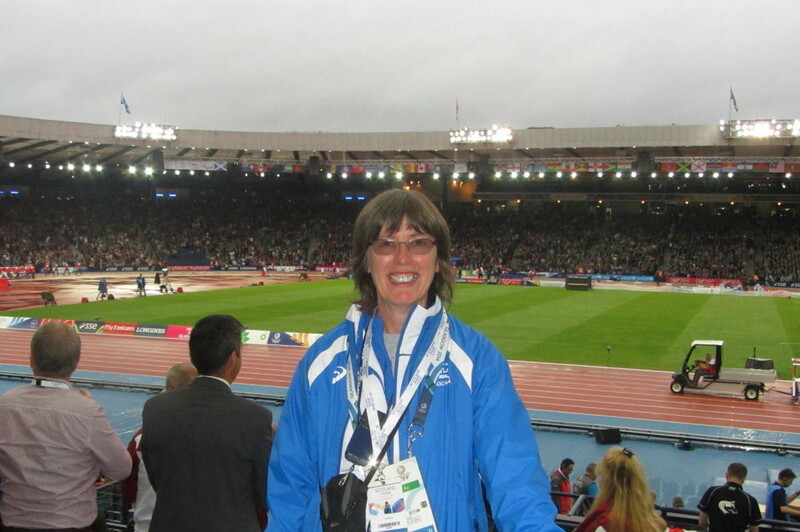 Together with Mary Anderson at Scottish Athletics Leslie spent hundreds of hours in advance looking after all the details such a trip requires. She worked closely with Commonwealth Games Scotland, Sports Scotland the Scottish Institute of Sport, our kit sponsors to mention just a few. 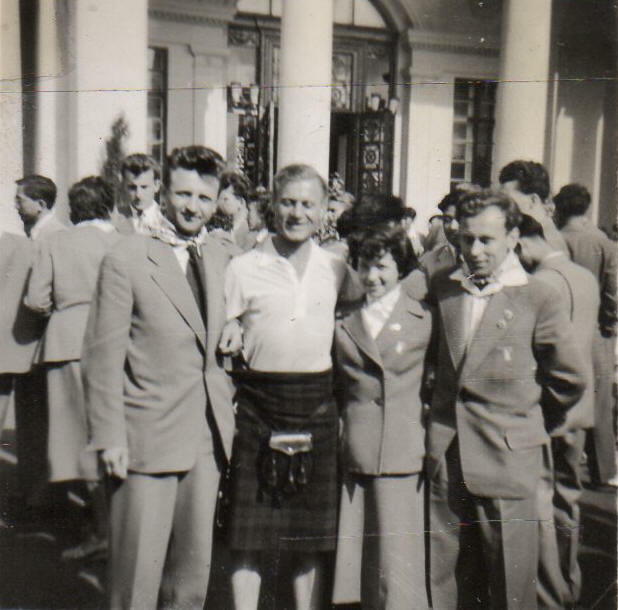 We had athletes leaving Scotland at different times to prepare for the Games in several different locations including Melbourne, Brisbane, and Johannesburg. I went out with the advance party but she made all the arrangements, and “Kept me right” until her arrival with the main party. In 2010 I was not working for Scottish Athletics and so made my own way to Delhi for the Games as I had athletes taking part. Quite a challenge. Imagine my surprise when clearing Customs at the airport to look up and see Who? That’s right – Leslie Roy, the first person I saw on my arrival in a country with a population of 1.4 Billion. She gave me a hearty welcome and then guided me to the area where my driver was waiting. It turned out she was at the airport as part of her role as Transport Manager for Commonwealth Games Scotland. For anyone who has ever visited the capital city of India you will be aware of the nightmare of travelling across the city. Who better then to have in charge than Leslie Roy. No sacred cow is going to stand in her way as she moves athletes from the Village to the Competition venues. I could give you so many more instances when Leslie has gone beyond the call of duty in the interests of our sport. The last one will be the cabaret act she put on for us at the Glasgow Games. At Major Championships like the Commonwealth Games there are often time when there is lot of waiting around especially at opening and closing ceremonies, and Glasgow was no different. About one and a half hours for each. To alleviate the boredom Leslie decided to single handedly entertain the troops. and what a great job she made of it. It included, singing, dancing and climbing high structures much to the delight of the Boxers and Rugby Sevens whose chant of ” Go Leslie” echoed in all our ears. I have known Leslie for almost 30 years I have accompanied her on numerous trips including Team Duties, Warm Weather Training and Official Meetings. 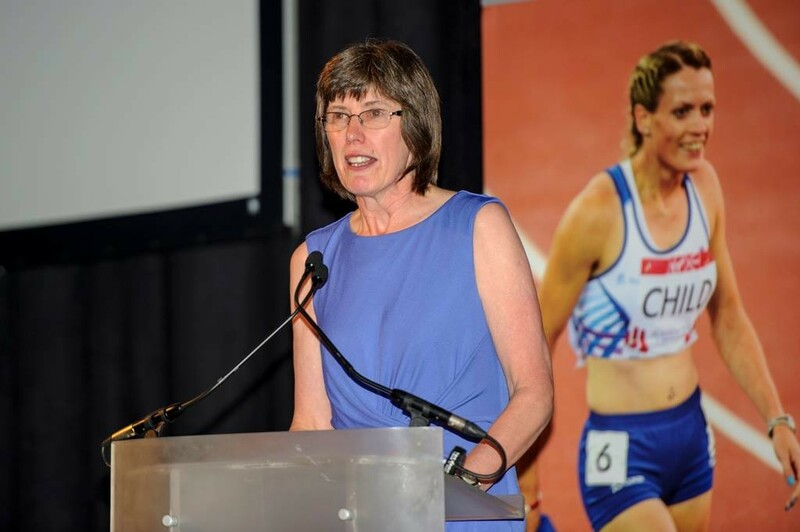 Her contribution to athletics is immeasurable she has served the sport as Administrator, Manager with Scottish and GB Athletics as well as Commonwealth Games Scotland, as well as Official and Athlete. She is currently President of Scottish Athletics. But I think if you were to ask her which part of these duties is closest to her heart it would be the Celtic Games. 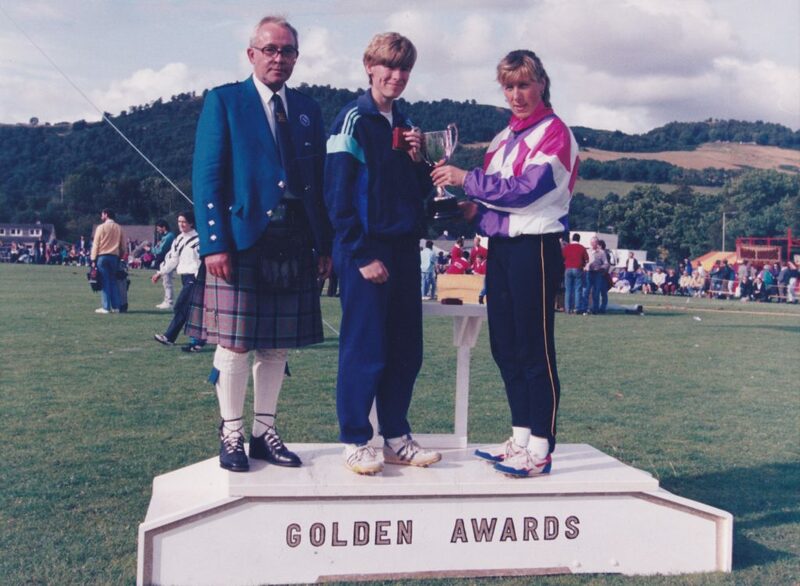 Leslie competed as an athlete in the very first Celtic Games when it used to be an all female event. I don’t think she has missed one since. That’s where Hugh’s comments end but I should add that he knows whereof he speaks: his wife is a constant worrier when he travels without her to look after him. He is quite forgetful and she knows better than anyone. When she knows he is going on an athletics trip she asks who is going with him. When he says it’s Leslie, she breathes a sigh of relief and says, “You’ll be OK then.” They’ve never met but they have spoken many times on the phone. That, for me, sums up Leslie’s reliability and reputation. Several contractors say on their business cards and advertisements “No job too big, no job too small” and despite all the committees, despite all the Games, despite all the honours Leslie could in all honesty say the same. I have known coaches and officials say that they had outgrown working with young athletes, or with athletes who were not of international class: that could never be said of any really good official or coach and it certainly is not true of Leslie. 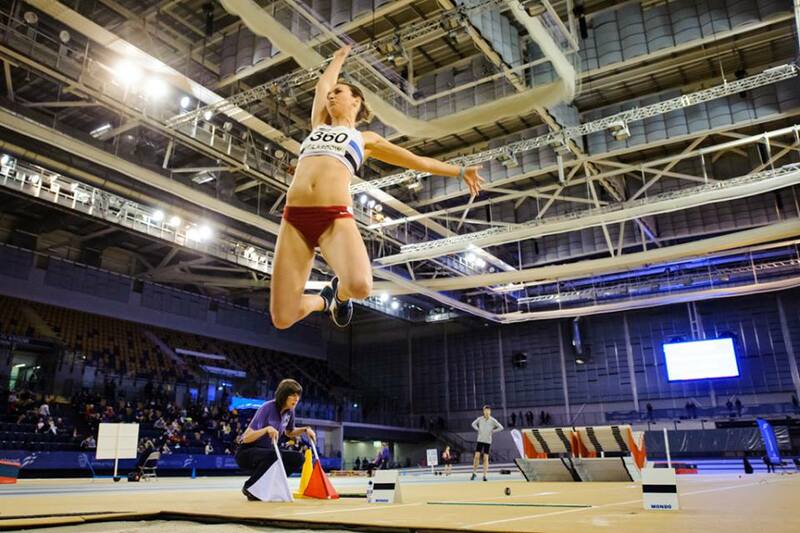 Two examples, the picture above shows her working in an open meeting in Glasgow in 2015 and until it ceased publication, Leslie could be seen walking round arenas selling copies of the Scottish Athletics Yearbook. What was her most rewarding experience as an administrator? 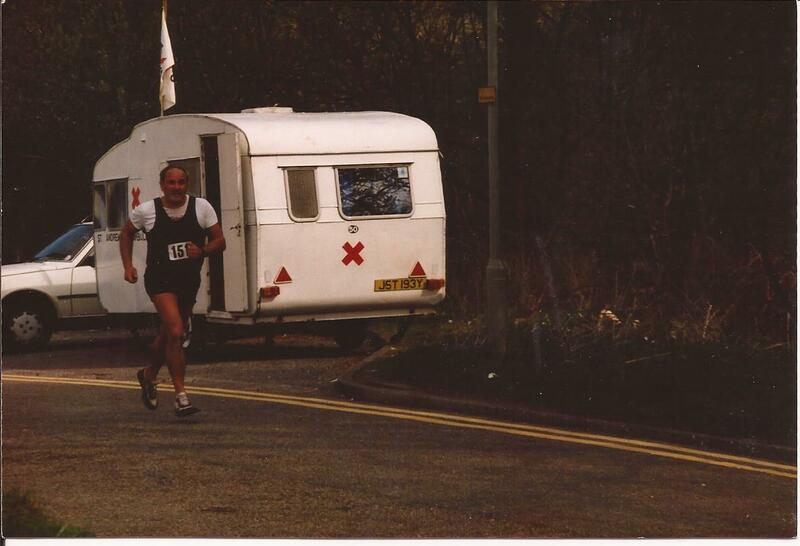 The Celtic Games have always been close to my heart, probably because I competed in the very first back in 1976! However it is always great to see the enthusiasm of youngsters starting out on their international journey. The Commonwealth Games – there have been many great memories, many challenges, lots of hard work and friendships made from the Games I have been involved in but overall it is one of the most rewarding experiences I have ever had. It has been a wonderful career in the sport – so far. Who knows what the future will bring for Leslie Roy? When starting this profile, I mentioned Ron’s name to a former international athlete who started to smile, and after commenting on ‘his idiosyncratic laugh (! 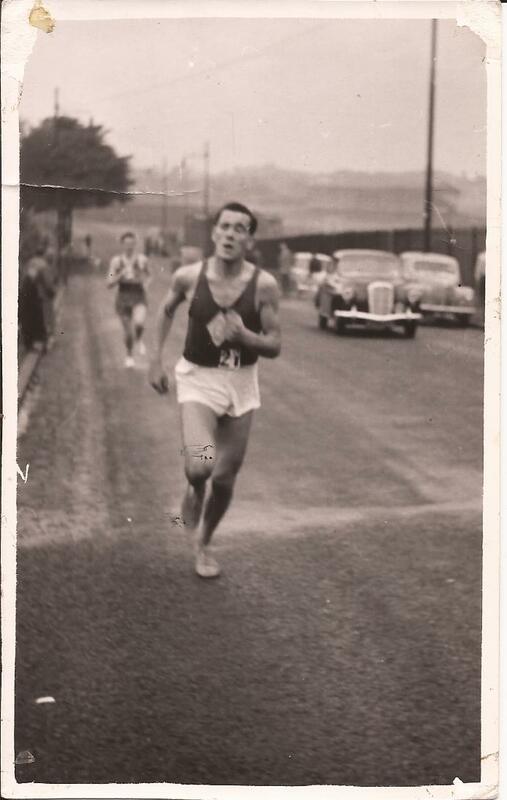 ), went on to say “Ron has done so much for the sport – Fife AC, coaching Lemoncello, the archive, etc, etc. A nicer, cleverer guy you could not meet.” These were typical of the other comments that were forth coming and noted his involvement with Fife from the very first, his coaching (where Andrew Lemoncello was the best known but by no means the only athlete to have profited from Ron’s coaching) and his work with the SAL website which included the comprehensive archive feature. 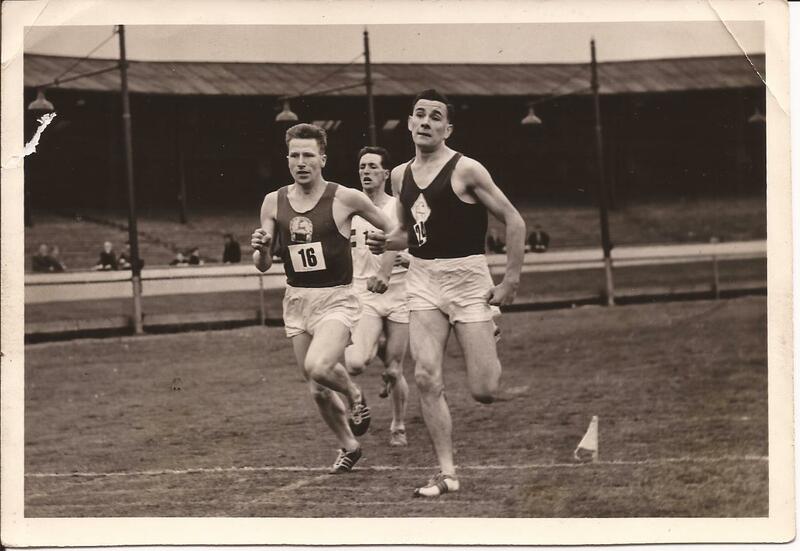 All true but so much that Ron has done is not included there – his running with Shettleston Harriers and Strathclyde University, his versatility as an athlete, his work as team manager for both Shettleston and Fife, as well of course as his administrative and organisational capabilities. 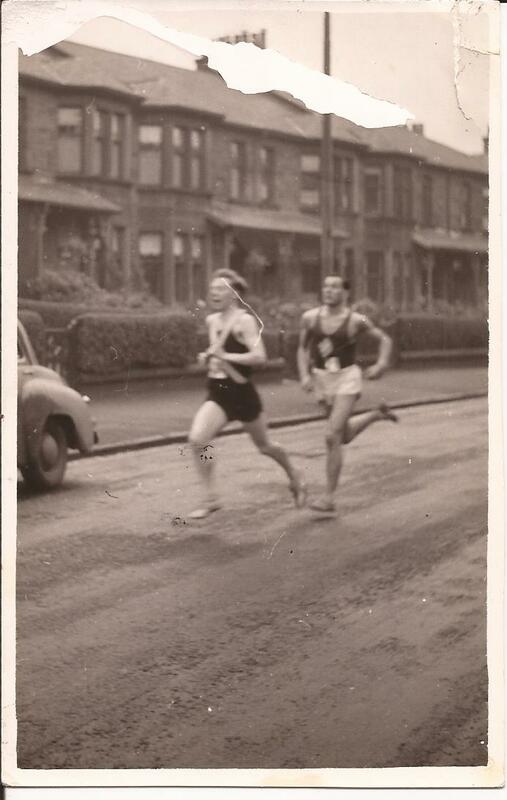 We should however start where he started – with Shettleston Harriers in the 1960’s. Ron was kind enough to complete the questionnaire as follows. How did you get into the sport initially: I was born a Shettleston Harrier. Has any individual or group had any marked effect on either your attitude to the sport or your performances? I always admired the way the Ian Clifton (Secretary) and Bob McSwein (Treasurer) ran the business of the SCCU in the 70s and 80s. Alex Jackson and myself had their model in our head when we took over the SAL RR&CC Commission in 2008. Hard one that as none of them were very good. The most pleasure I had was in the beating my old University pal George McIvor in the East District Cross-Country Championships at Cupar in 1976. I had just pushed him into a ditch about 150 metres from the finish. To this day he has refused to pay out the bet. I did have the moral high ground. Cross Country is all about beating up your mates. How and when did you start out as an official? At Strathclyde University. It was easier to do the job than watch it being bungled. Can you mention any major competitions at which you have officiated? I have refereed 16 National Cross-Country and many XCR and district events. The biggest events were the World Cross-Country at Edinburgh in 2008 and the Commonwealth Games Marathon in Glasgow in 2014. What qualifications do you hold as an official and/or coach? What honours have you been awarded so far? What has athletics brought you that you would not have wanted to miss? As an athlete fun, as a coach helping talented people and as an official seeing a good job being done. What changes, if any, would you make in the sport? I am an iconoclast. I would change everything but it is not a good idea. Born on 15th April, 1946,he says he was ‘born a Shettleston Harrier’. It is no secret that his Dad was the well loved and respected David Morrison who started with the club in 1933 and continued for the rest of his life in the club and the sport and set world records as a veteran. He was also a multi events competitor with a range almost as wide as Ron’s – I don’t remember his father doing a 110m high hurdles. There is a profile of David at www.scottishdistancerunninghistory.co.uk/David%20Morrison.htm . It was inevitable that Ron would start out with the club. Ron says that he was not ‘great at anything but just did everything.’ Nevertheless he appeared in the national ranking lists every year between 1964 and 1977 inclusive. 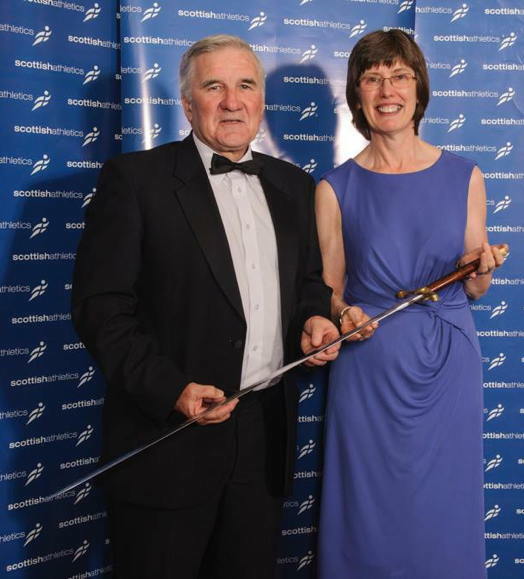 He first appeared in the Scottish rankings in 1964 at the age of 18 with a 3.05 metre pole vault which placed him seventeenth in the national rankings for the event. Not at all a one off, he appeared in both 1965 and 1966 in the same event with vaults of 3.05m and 3.12m which ranked him twenty first and seventeenth. His versatility is evident in his track and field ranking between 1964 and 1977. Clearly a good club man, he was also ranked in the 400m hurdles ( 1972 and 1973 with 59.4 and 60.3 which placed him twenty first and twenty sixth), 3000m steeplechase (1970, 1971 and 1972 with times of 10:02.4 [25th], 10:03.2 [24th] and 9:54.8 [28th]) and hammer throw (30.88m in 1977, ranked 19th) but it was the pole vault with which he was most consistent – 2.74m (30th in 1972), 2.90 (21st in 1973), 3.00m (23rd in 1974), 2.90m (22nd in 1975) and 3.00m (24th in 1976). These were events that he would return to much later in his career to help the Fife AC team in their quest for league points. Competitively, he was Glasgow Schools discus champion at the age of 13 in 1959. Ron was third in the SAAA Junior Hammer Championship in 1964 with 101′ 8″ and in 1965 he was second in the Junior Hammer with 122′ 0″. He was also good enough represent Scotland against the British Army at Grangemouth as a Junior Hammer thrower. He says, maybe wryly, that he was built like a hammer thrower but wanted to be an endurance runner! 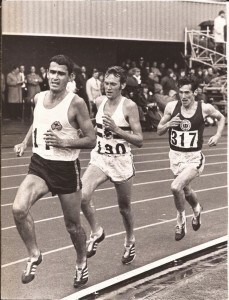 Ron started his University career at Strathclyde University and ran for their cross-country team from 1964 – 1967, captaining the team in 1967. 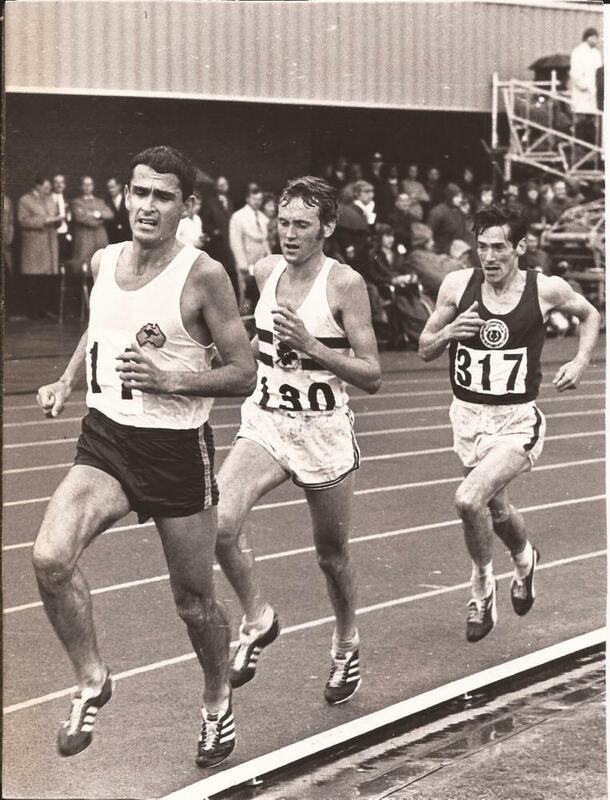 Then running for Glasgow University in 1968 he was second in the second team race at the Scottish Universities Championships. 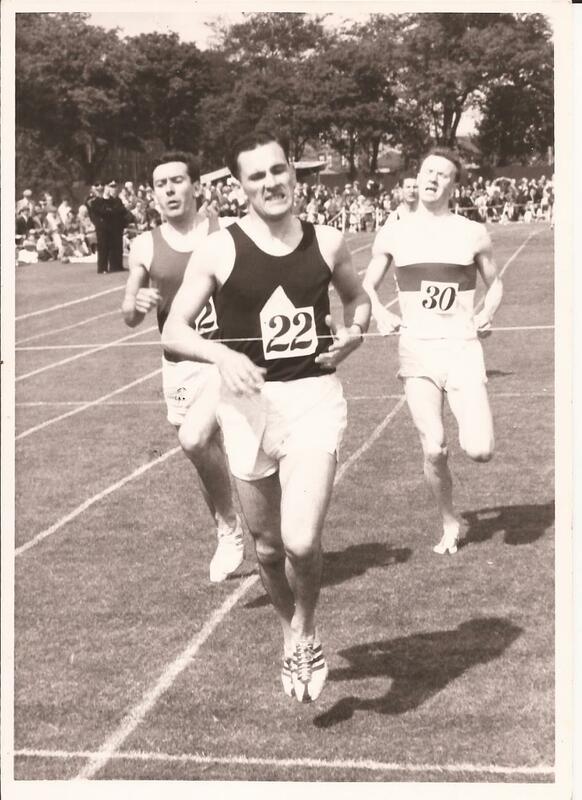 It was then on to St Andrews University when he was in the team that was third in the East District Relay Championships at Penicuik in 1972 with Stuart Easton, Philip Hay and David Lorimer. 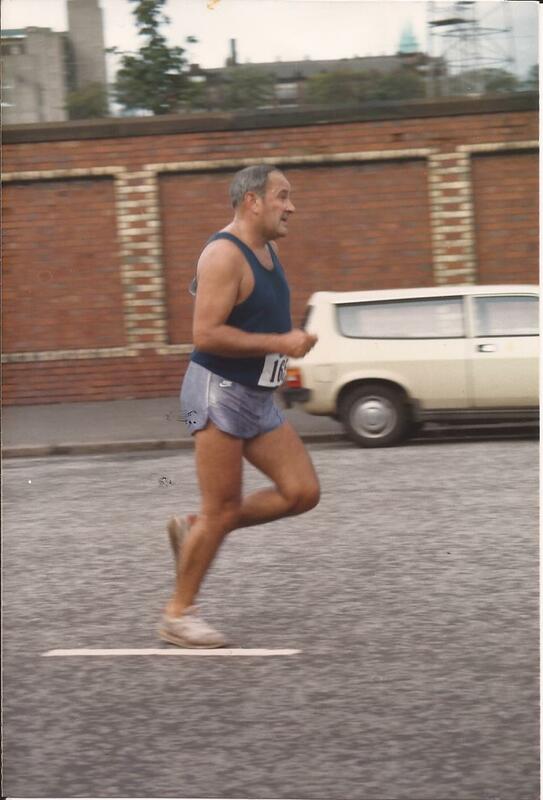 His first Edinburgh to Glasgow Relay was for St Andrews in 1972 when the finished 16th with Ron on the last stage. 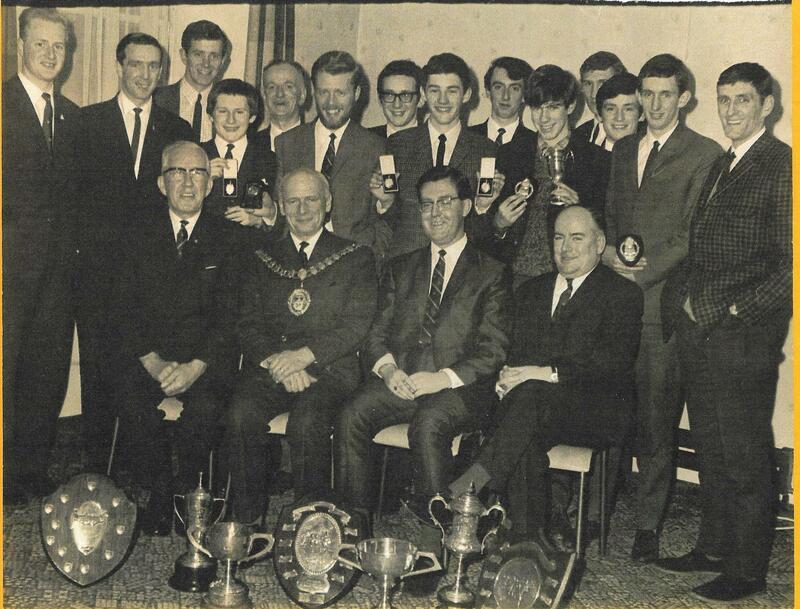 He was also for a time Secretary/Organiser for the Strathclyde University team and organised the annual trip to Lagan Valley Relays in Ireland. Ron ran in two Edinburgh to Glasgow races for Shettleston during this period: 1973 on the third stage after Lachie Stewart had come from 15th place to 9th and Ron ran well enough to drop only one place, and 1974 again on the third stage when he hung on to twelfth place for the club. 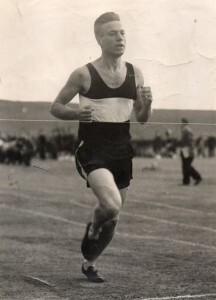 He picked up a bronze medal in the National Cross-Country Championships in 1975 when he was sixth scoring runner for Shettleston in 114th place. His first run in the National had been in 1964 as a Youth (ie Under 17). They call this one ‘Two Wise Men’ – so that they can argue about who’s the odd man out! His biggest success at this period however was not as a runner at all but as Shettleston Team Manager in 1970-’71. 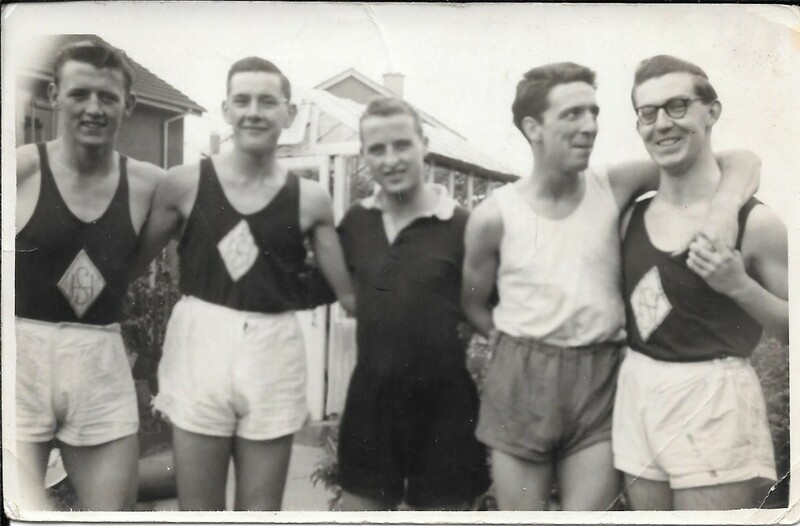 The club cross-country committee at the times was made up of Ron (team manager), George Kay (president), Alex Naylor (coach), Davie Morrison (Ron’s cousin) and Bill Scally. A formidable quintet combining experience and wisdom, they were clear that with the talent at their disposal that year they had to get everybody training and competing. Their first action was to send out a letter to all members: “We sent them to everyone,” recalls Ron Morrison, “recalcitrant non-trainers and superstars alike.” It is fair to say that their efforts succeeded beyond their dreams and 1970-71 turned out to be one of their best ever cross-country seasons. “I met Ron on St Andrews University playing fields around 1970/71 when training. There are two versions – did I ask him to join us or vice versa – I think the former. 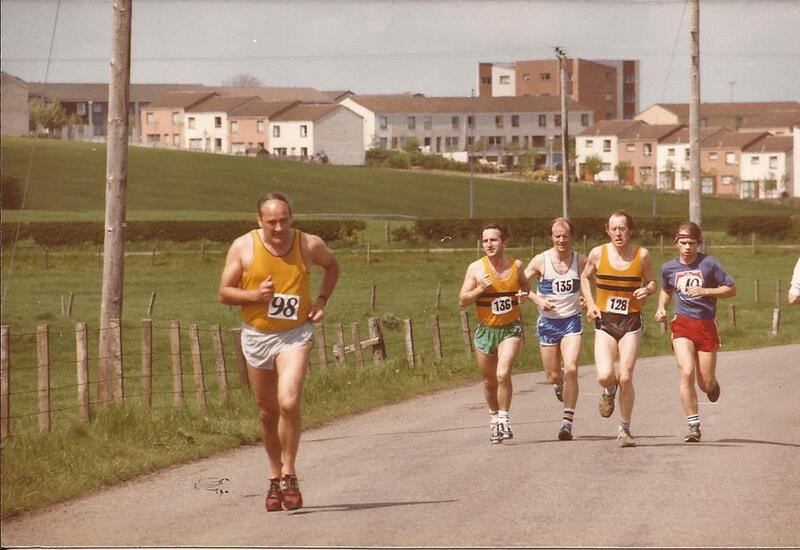 We did quite a lot of training together, in and around Anstruther (where he lived for a while) and in Tentsmuir Forest on Sundays.Others who ran with us were Terry Mitchell and Ian Grieve, both initially ‘professionals -SHGA. The weekly training pattern was long established: Monday fartlek, Tuesday longish run, Wed speed work, Thurs longish run, Fri easy 5, Sat race or 15, Sun 15-20. Don refers to Ron’s academic career which was quite outstanding and I quote from the Wikipedia article: Professor Ron Morrison was the head of School of the computer science department of the University of St Andrews and the inventor of the S-algol programming language, and co-inventor of the PS-algol and Napier 88 languages. He is a Fellow of the Royal Society of Edinburgh. 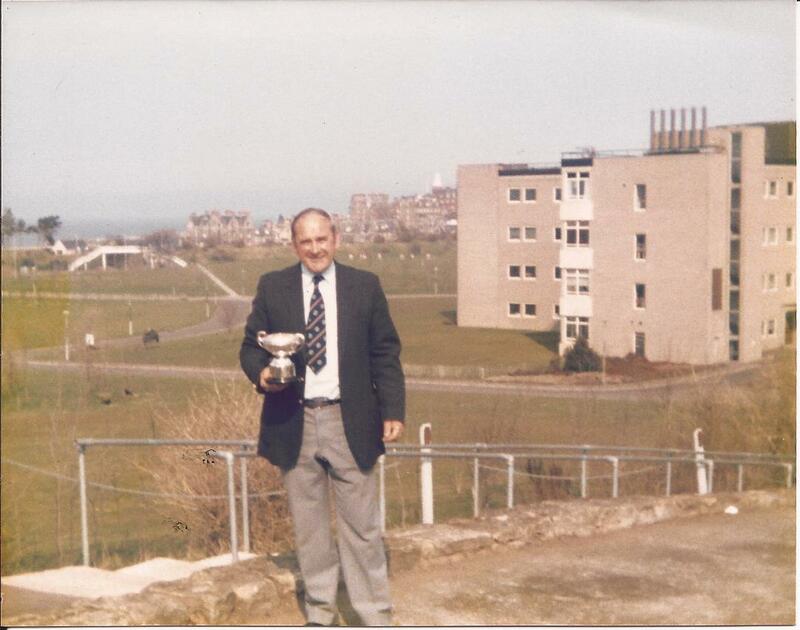 Having settled in St Andrews and become a member of the local athletic club he served as a committee member, ran, coached and at the same time was one of the hardest working members of the Scottish athletics Road Running and Cross-Country Commission. 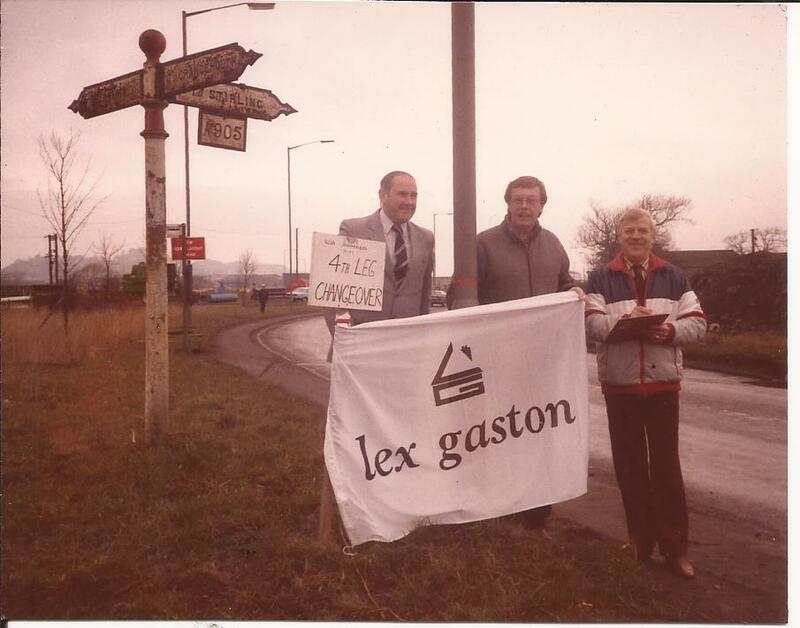 His first year on the Scottish Cross-Country Union General Committee was 1979. He became the East District Chairman and then President of the SCCU in 1985-’86 and was with the Scottish team at the World Championships in Neuchatel in March 1986 when John Ngugi of Kenya made his first winning appearance. As an official, as opposed to his work as an administrator, Ron has been consistently in action since 1988 when he refereed his first National Cross-Country Championship. In the period between that meeting and the present he has held that post every year until 2015 making it 16 straight championships. He was referee for the World Cross Country Championships in 2008 and the Commonwealth Games Marathons in 2014. 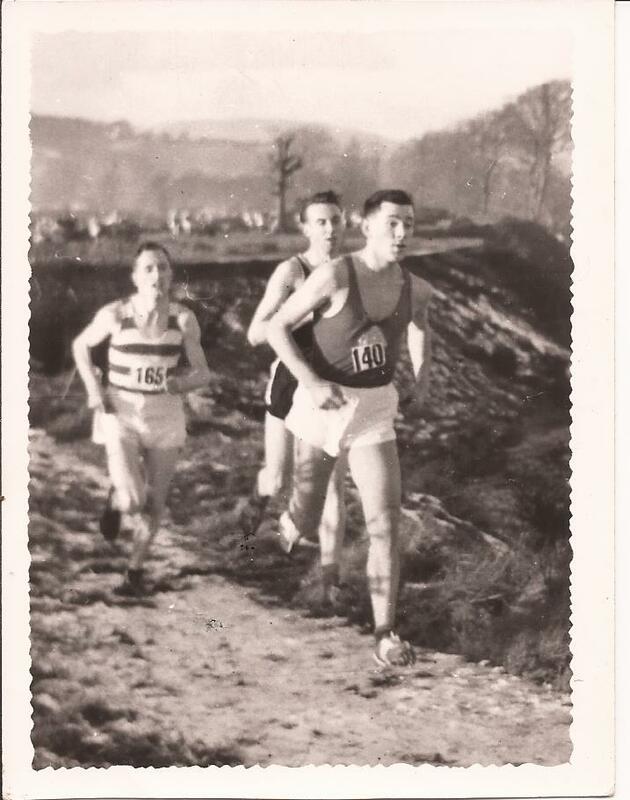 There have of course been many other events – Cross Country races including District Championships, league matches and open road races. 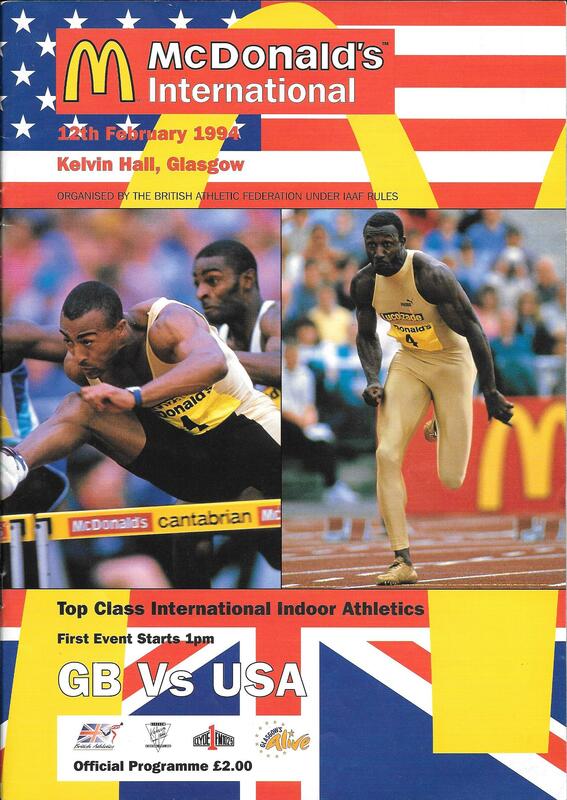 This was just at the time when Scottish athletics was starting to look to the future and contemplating setting up a more professional governing body. 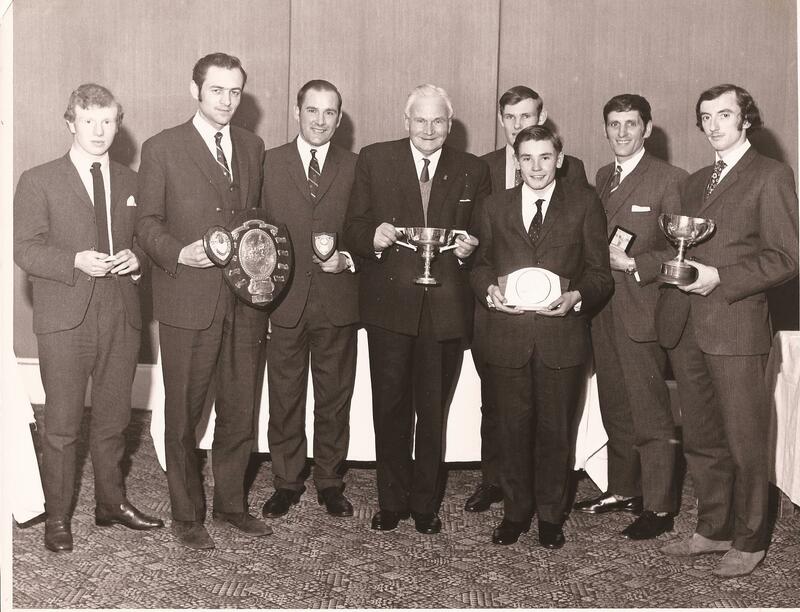 “Ron was one of the driving forces behind not only a joint governing body for cross-country but also for all athletics disciplines which resulted in the formation of Scottish Athletics in 1992. 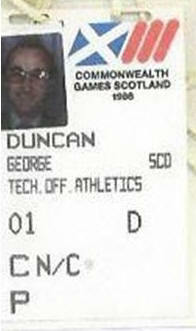 Through these years he was head of a large Computer Sciences School at St Andrews University so would disappear from athletics for periods when he had to concentrate on the demanding day job. When he was concentrating on athletics, academics researchers who had come to St Andrews specifically to work with him complained they never saw him. 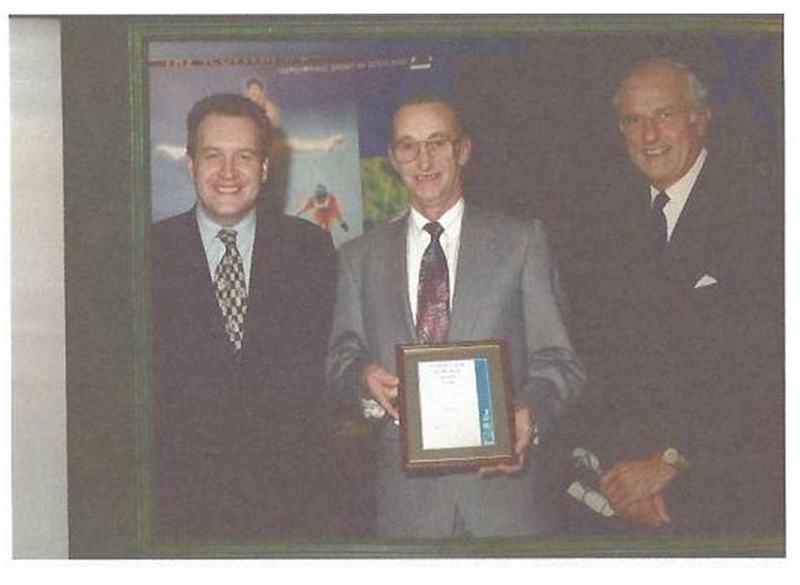 He was also the driving force in putting in place a professional management system which resulted in the appointment of David Joy as the first CEO of Scottish Athletics in 1998. 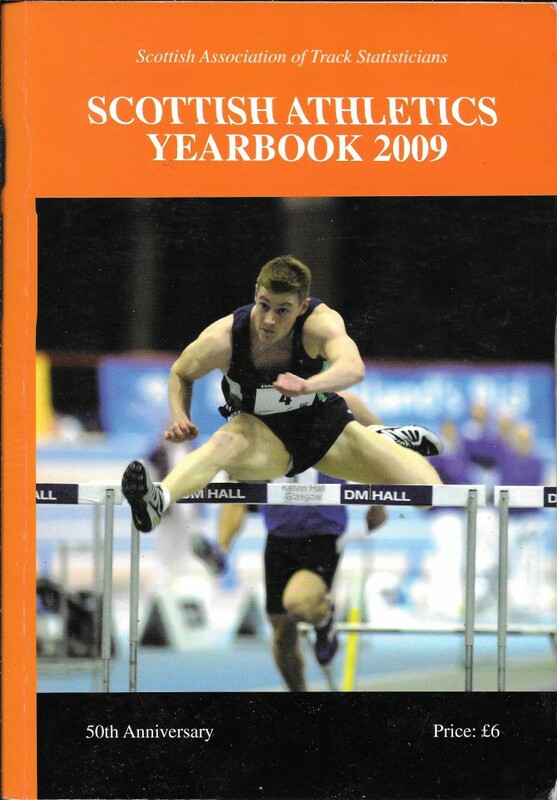 A similar system was subsequently used by other athletics governing bodies in the UK. 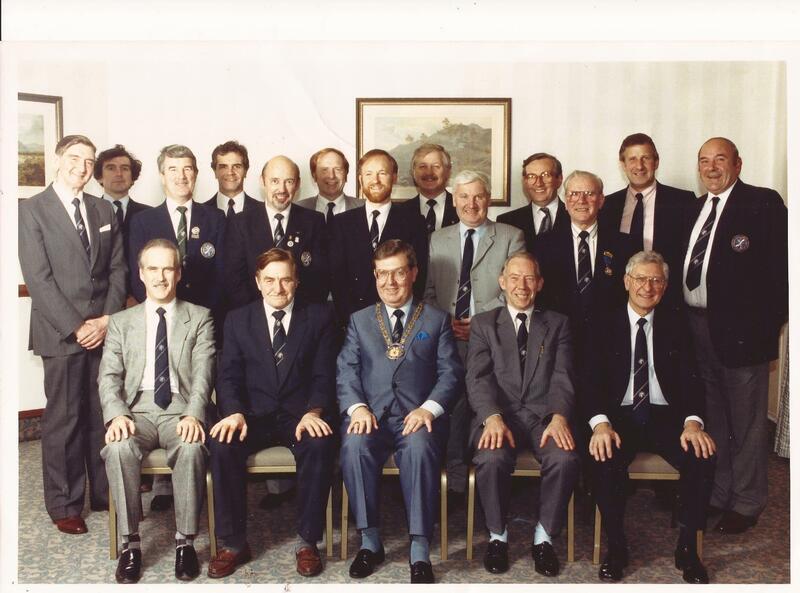 If we look at all that he was involved in at this time, we see first of all that in the shift from Scottish Amateur Athletics Association to Scottish Athletics Federation, he was on the SAF Steering Group with Alan Grassett and went on to be, first, Vice President, then President of the SAF from 1997 to 1999 and was made an Honorary Life Member. He was convener of the Scottish Athletics Federation from 2008-’09 to 2012-’13 and has been responsible for the creation, development and maintenance of the Commission website since its inception. 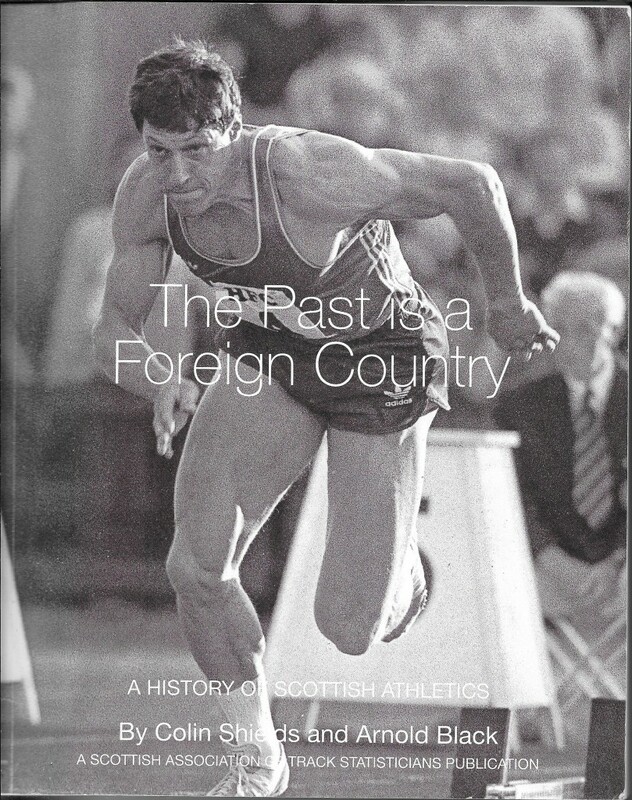 It is fair to say that it is one of the best research tools and sources of information available to Scottish Cross-Country historians and others interested in the sport. Ron Morrison has an extensive background in the leadership and management of scottishathletics. An U21 Hammer Internationalist he is still semi–active and has won 9 Scottish Masters titles in various events. His love of cross country running saw him President of the S.C.C.U. 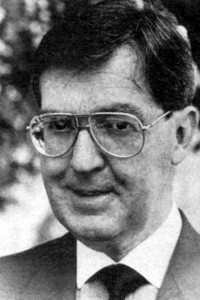 (1985-6) and the S.A.F (1997-9) where he led the setting up of the current professional business structure of the sport. As an official his expertise has been recognised with the appointment as Referee at the World Cross Country championships in Edinburgh in 2008 and Marathon Referee for the Glasgow Commonwealth Games. 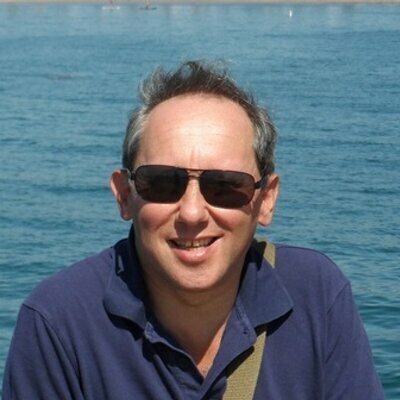 A professional background as Professor of Computing at St Andrews University, where Ron remains closely involved with coaching endurance athletes at the University and through Fife AC. That was written in 2015 and this year Ron is in post as Past Convener of the Commission with the intention of standing down at the end of the year. 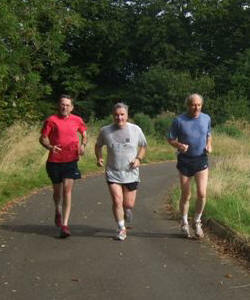 At Giffordtown 5K in 2009 with Bob Stark and Ron Hilditch. Don Macgregor’s involvement in the sport has several parallels with Ron’s which he comments on, but they are known as something of a double act as far as coaching in Fife is concerned. Among the runners he has worked with are British internationalists Andrew Lemoncello (Steeplechase), Megan Crawford (Hills) and Victoria Gill (10K) and Scottish internationalists Owen Greene (Hills), Andrew Liston (Hills), Morgan Windram-Geddes (Cross-Country), Hester Dix (10K), Jennifer Kibble (U20 track 5000m, HR U17, U20 twice, London). Along with his long-time friend, Don Macgregor, he has coached many generations of St Andrews University cross-country and endurance athletes. “We became officials, and in due course both became presidents of the SCCU, requiring a lot of late night trips to Glasgow. 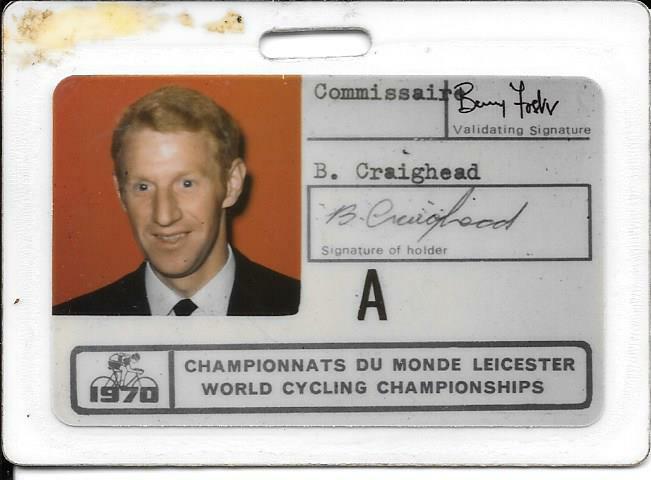 I stayed with Ron’s dad, Davie, when Davie and I both won world vet titles in 1980. Megan is the one mentioned above and is indeed very talented with experience of athletics at the highest levels – her first marathon race was in Inverness and she won that one in 2:46:37 taking two seconds from the record set by Ethiopian Mekash Tefara three years earlier – but Power of 10 lists athletes from the Under 23 age group to over 45. Ron receiving the trophy from his Dad, David. And as a man with a hammer thrower’s build who wants to be an endurance runner, he frequently runs in the St Andrews Parkruns over 5000m. 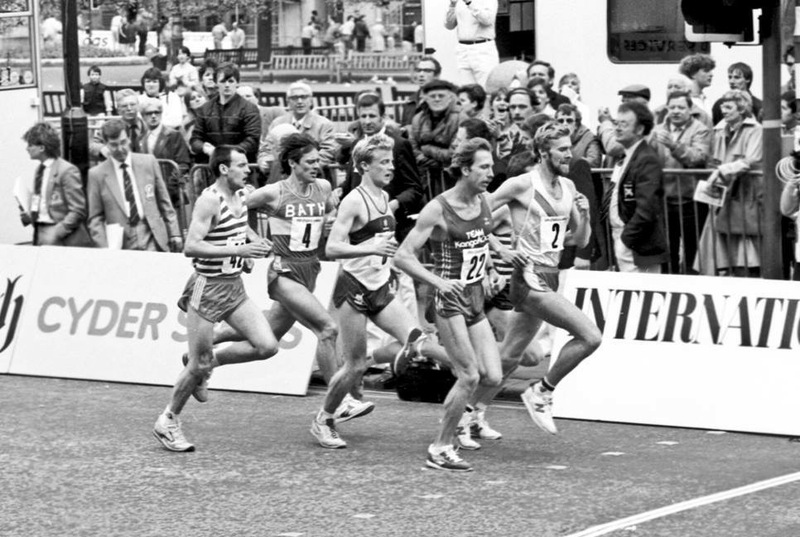 ‘The American ‘Runners World’ referred to George Sheehan who combined being a doctor with running long distances and writing for the magazine a Renaissance Man – what does that Make Ron Morrison? We can finish on what his friend Alex Jackson calls ‘The Beard Story.’ It goes like this. In 1980 there was an athletics film being made in which a scene with runners running along the sand at St Andrews was to be shot. 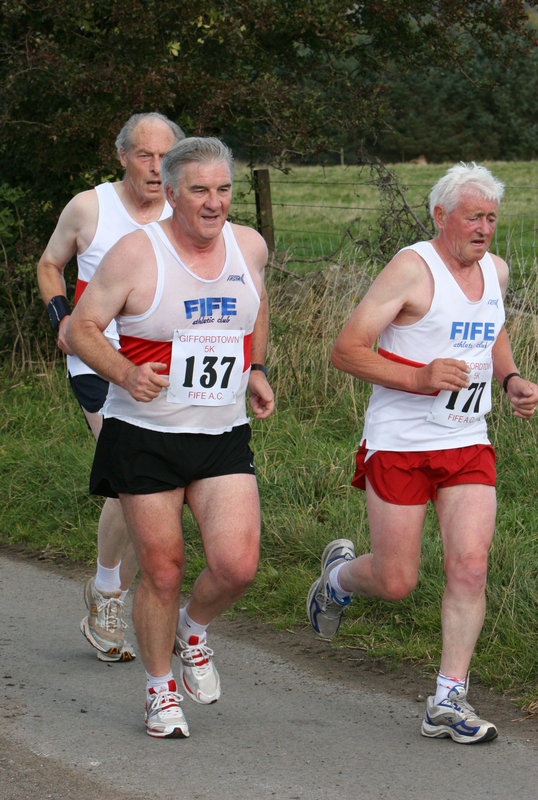 Donald Macgregor was asked to get together a group of runners as possibles for it. His good friend Ron Morrison was put forward as one, he was accepted provided he took off his beard. Ron was fond of his beard, declined and wasn’t in the scene. He thought it was a little film which might not even make general release. It was ‘Chariots of Fire’ which was nominated for seven Oscars and won four. That scene in particular was described by Paul Gambacini as “One of the iconic moments in world cinema.” If he had known that, the beard might well have come off.